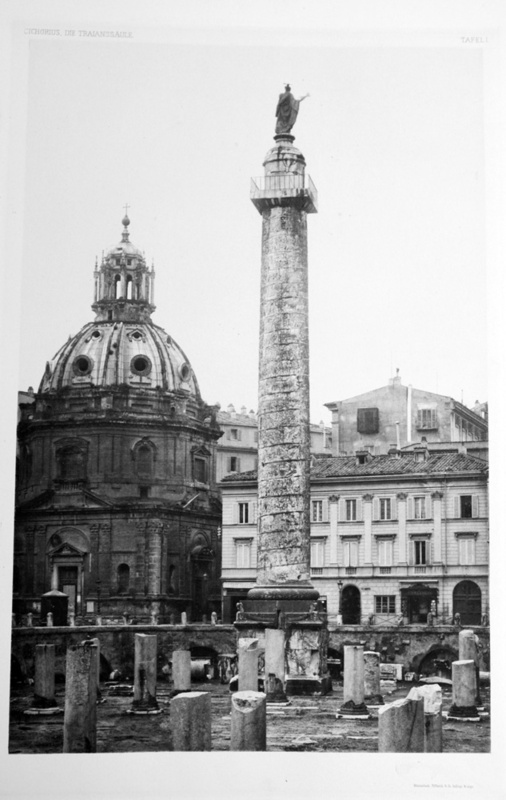 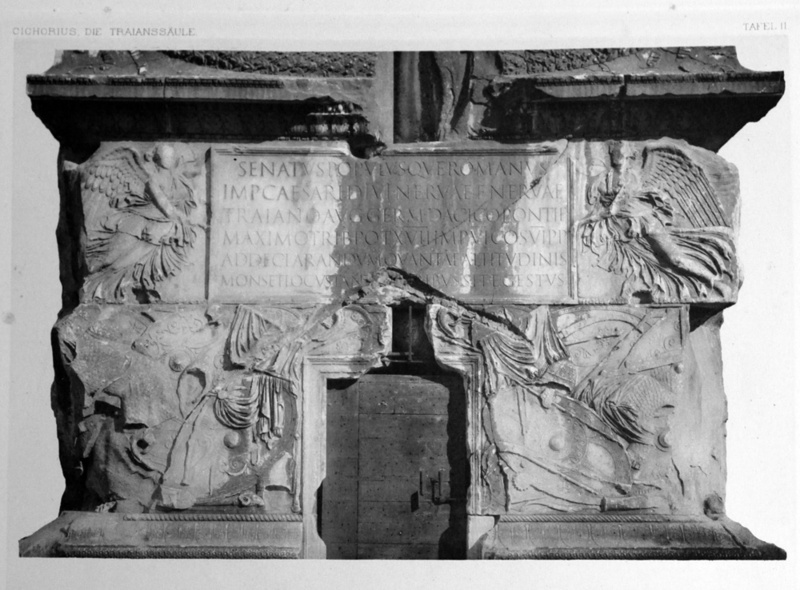 In the two galleries below are reproductions of all the original 113 photogravure plates from Conrad Cichorius’s (b. 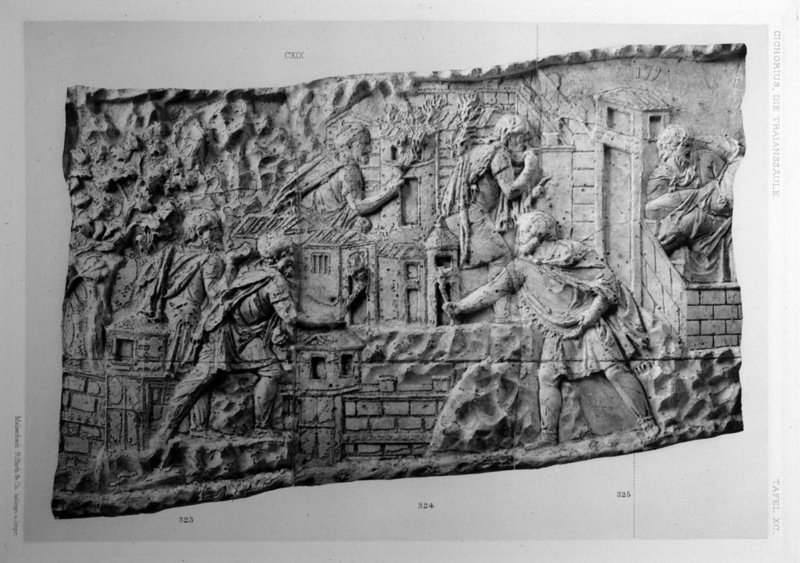 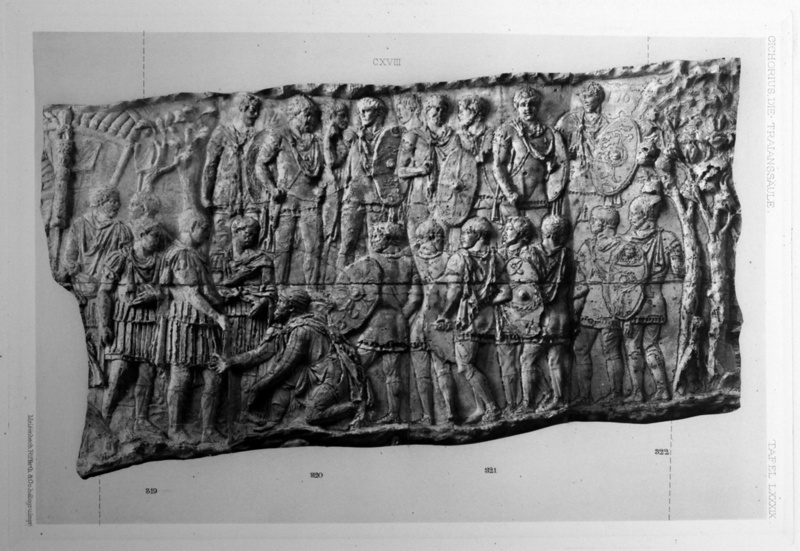 1852 – 1932) monumental Die Reliefs der Traianssäule published between 1896-1900 (see the bibliography). 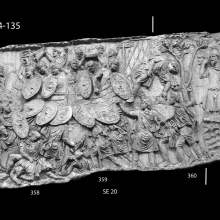 The numbering system used by Cichorius to identify individual scenes is still used by most modern scholars (and this website) to navigate the sequences depicted on the Column. 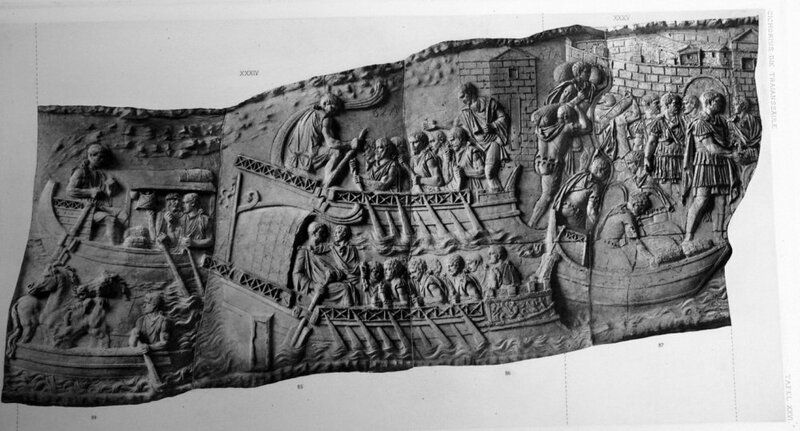 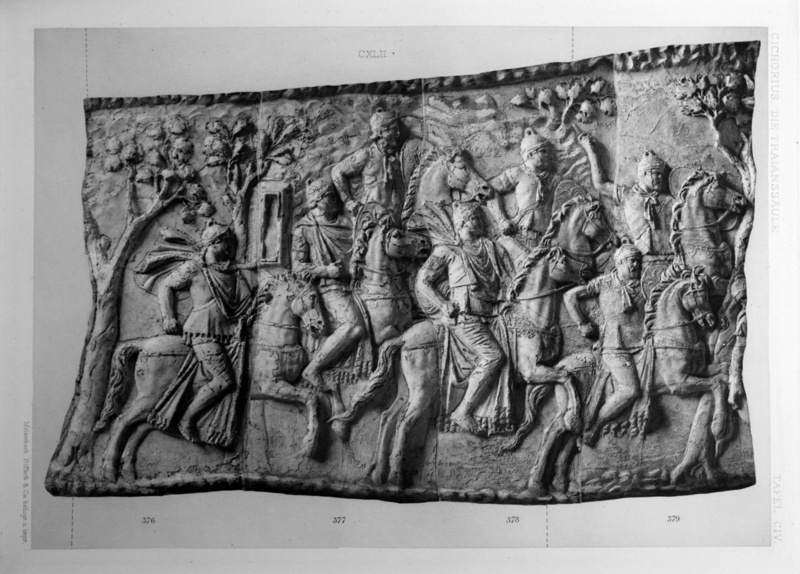 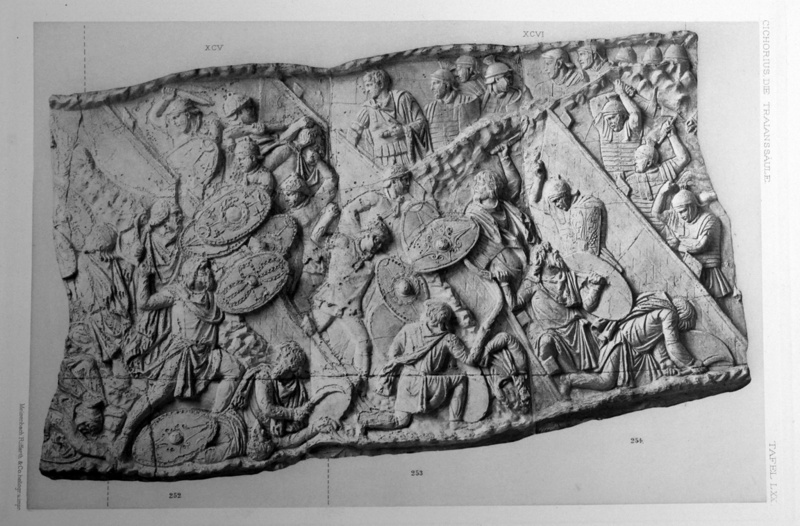 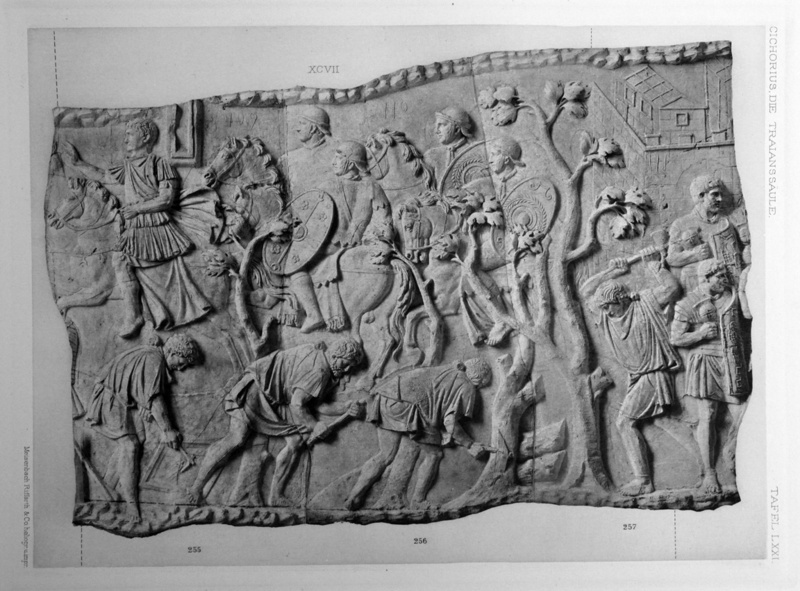 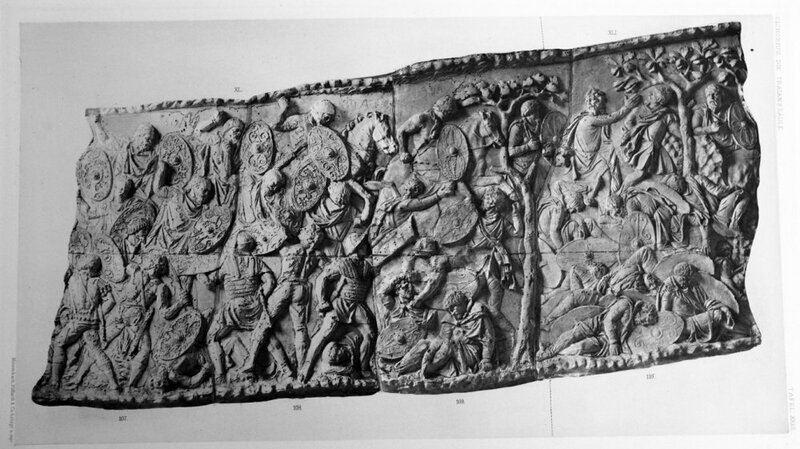 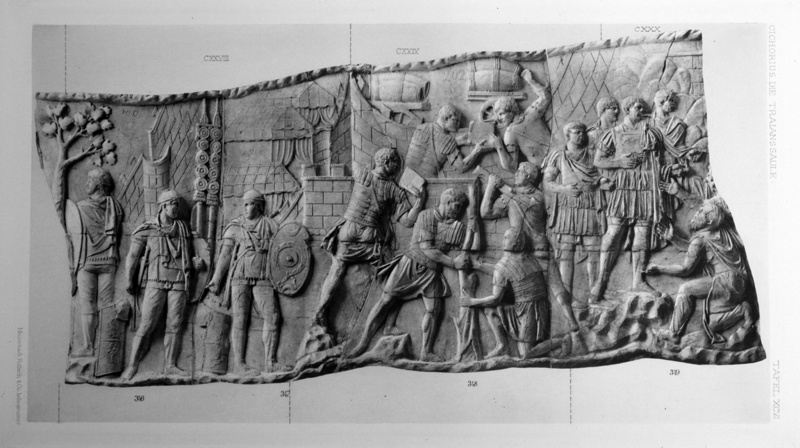 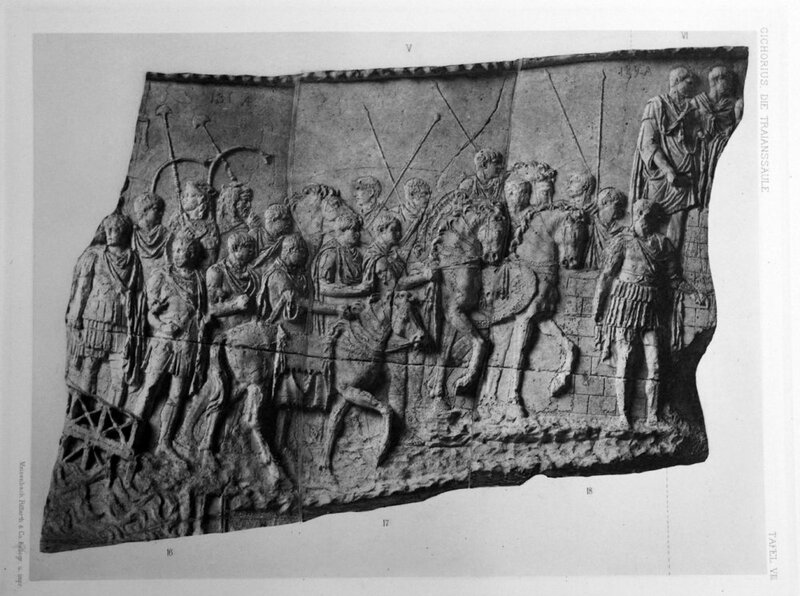 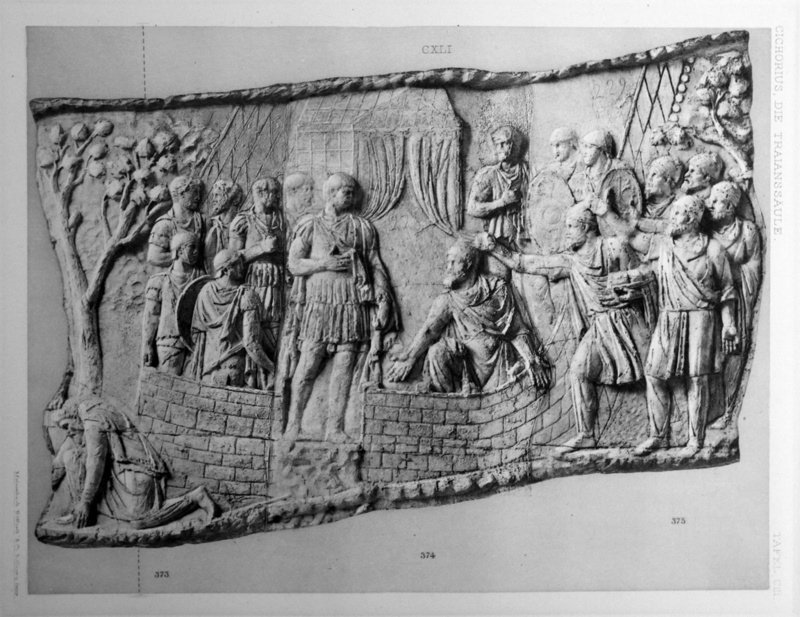 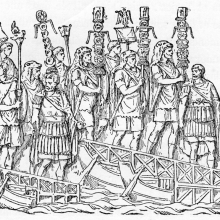 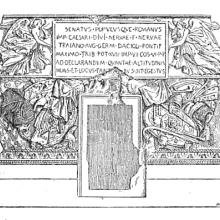 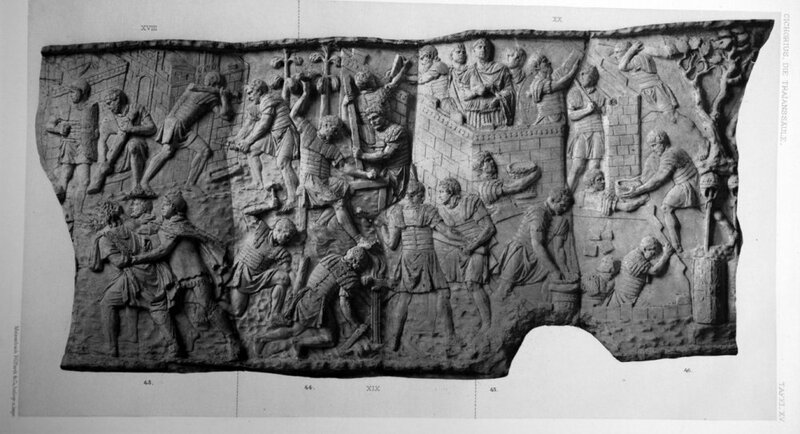 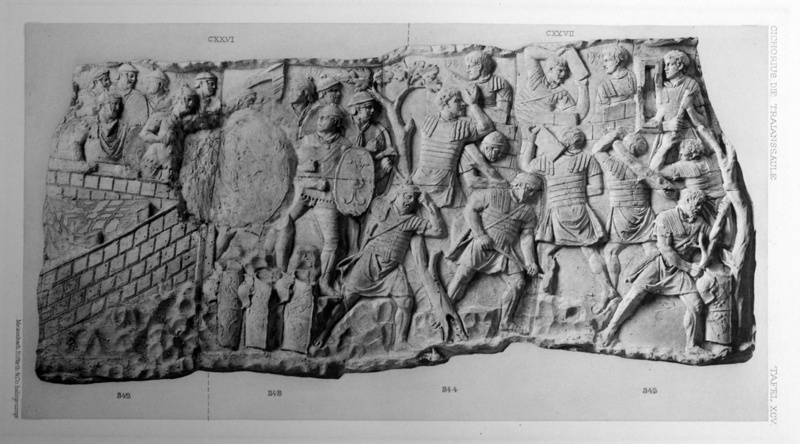 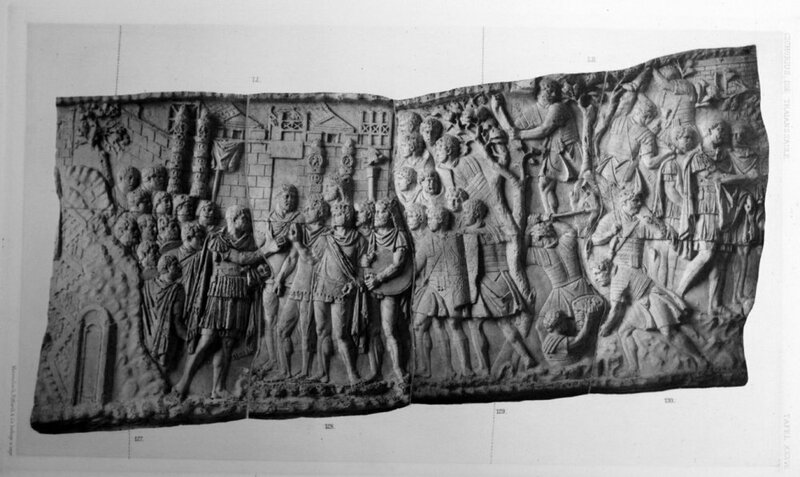 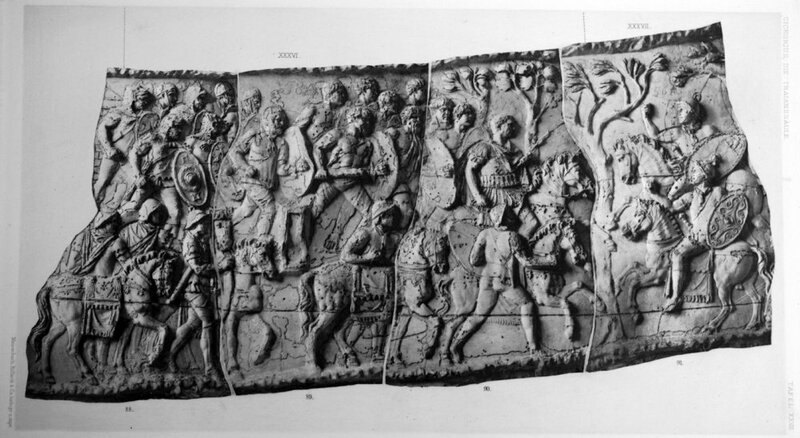 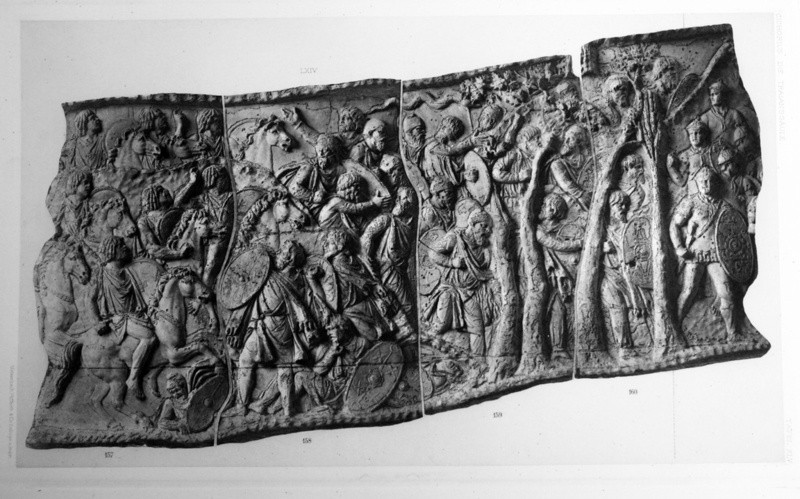 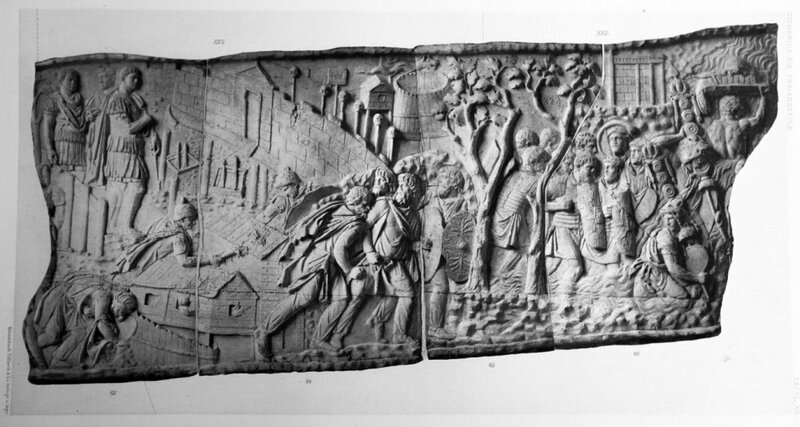 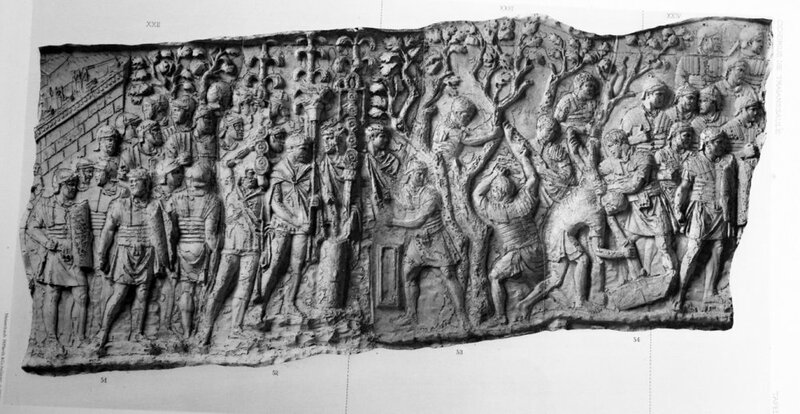 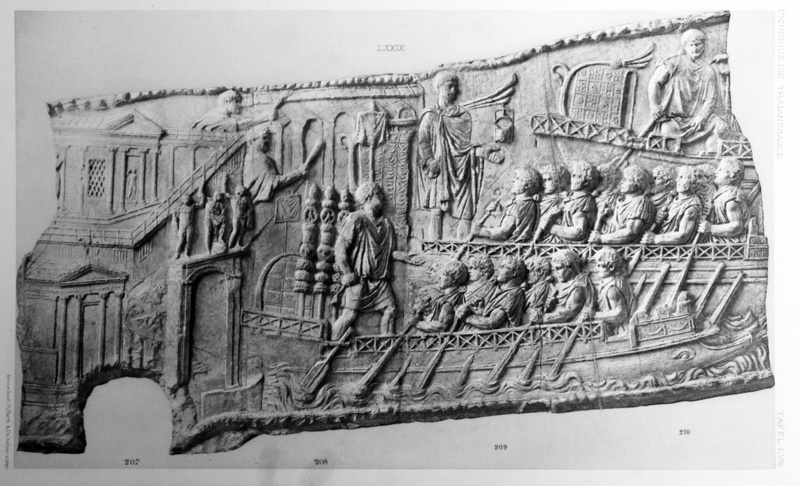 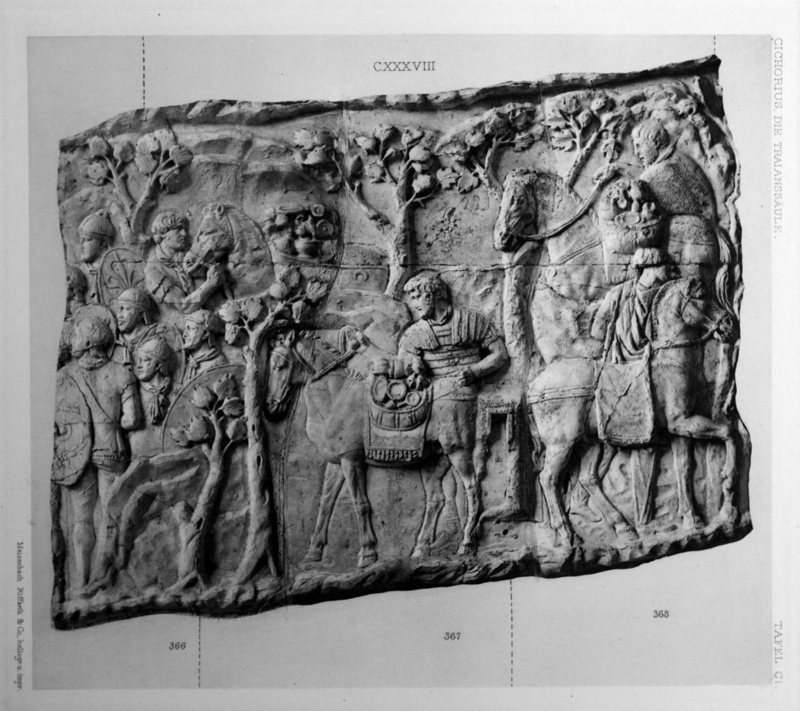 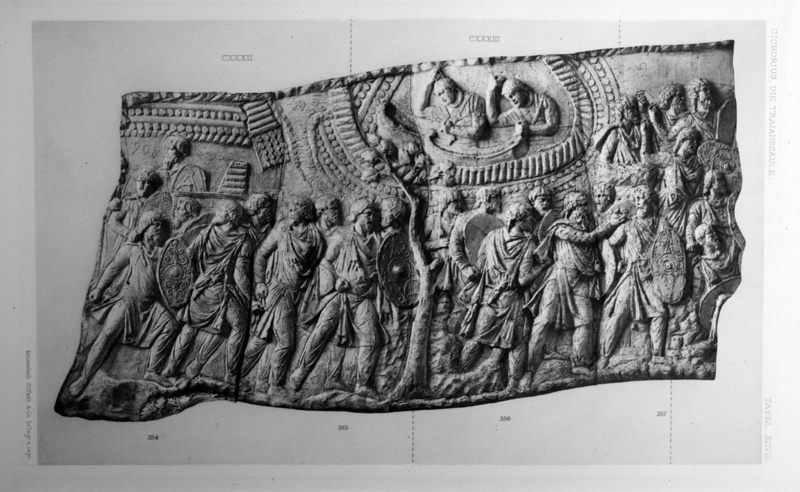 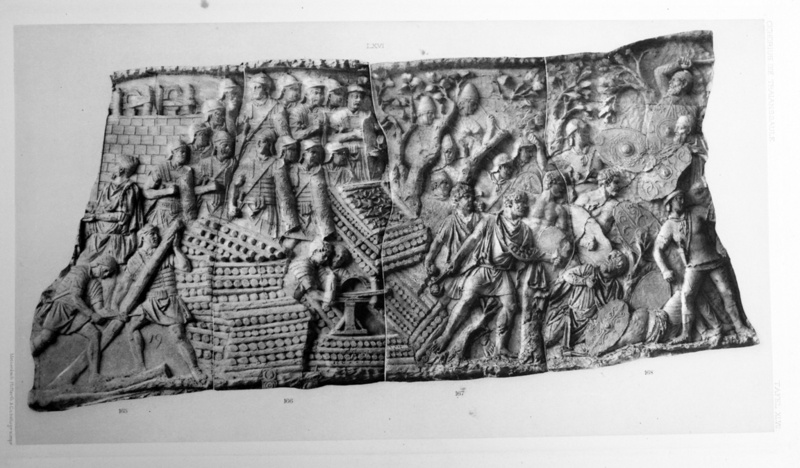 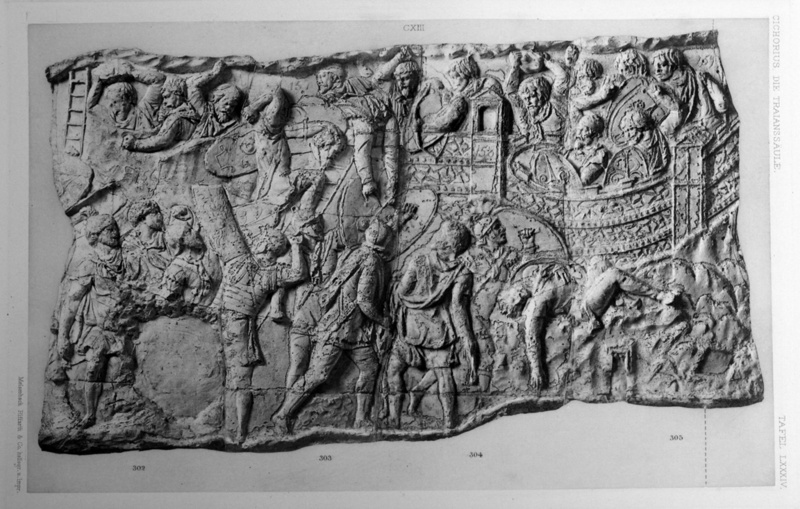 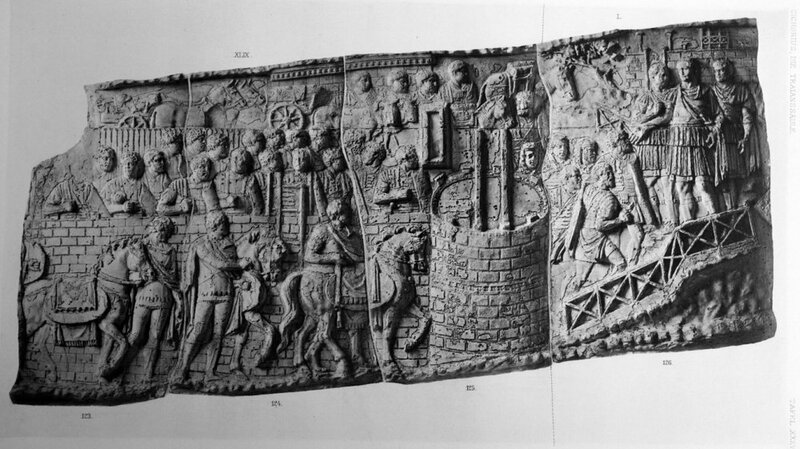 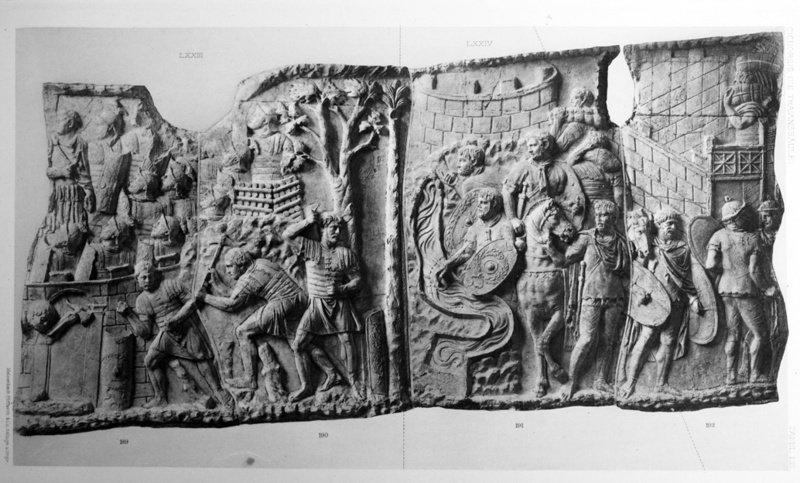 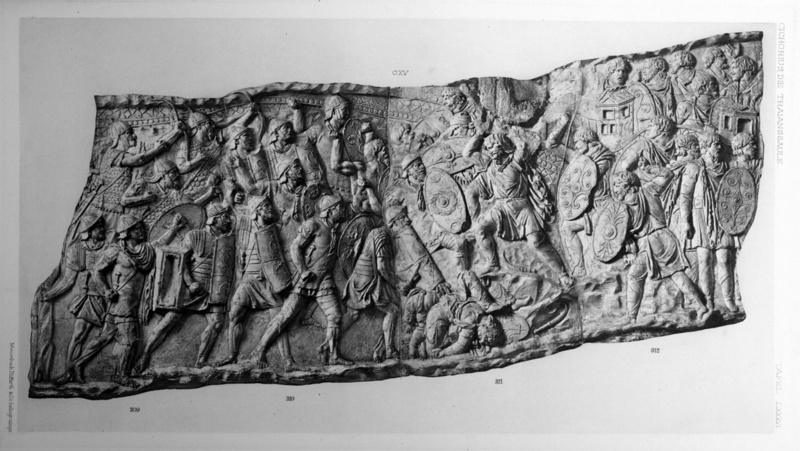 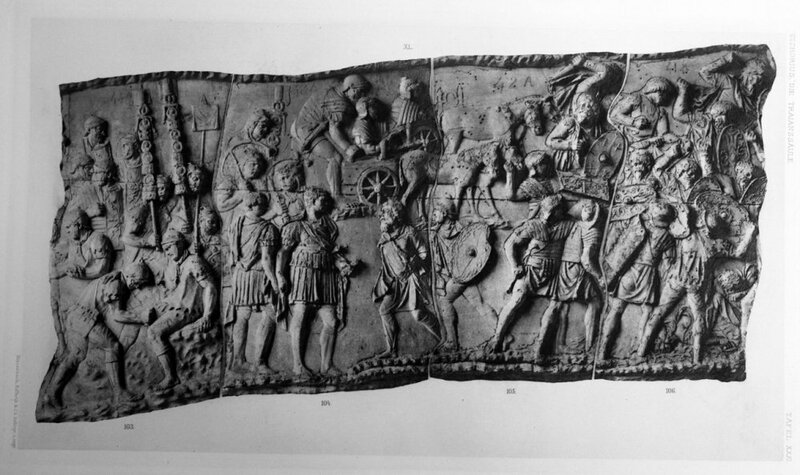 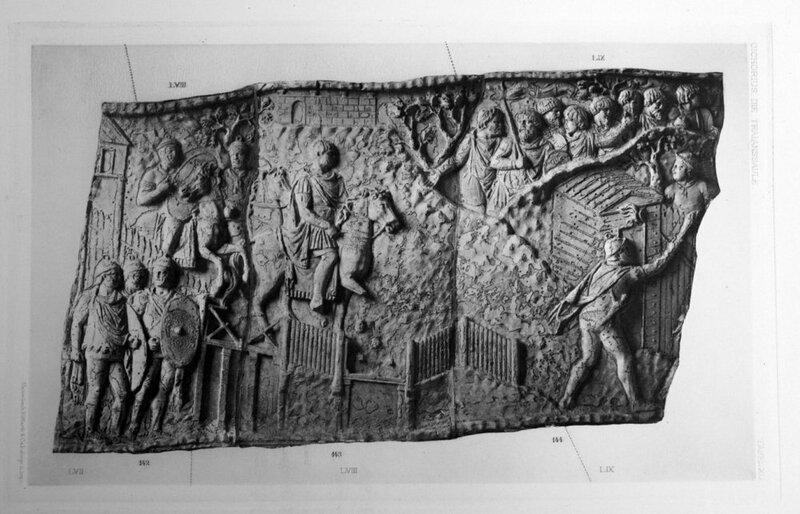 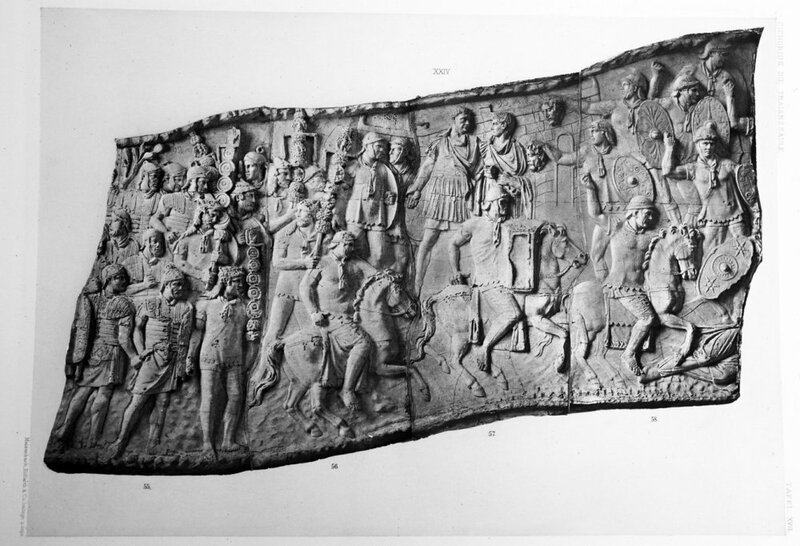 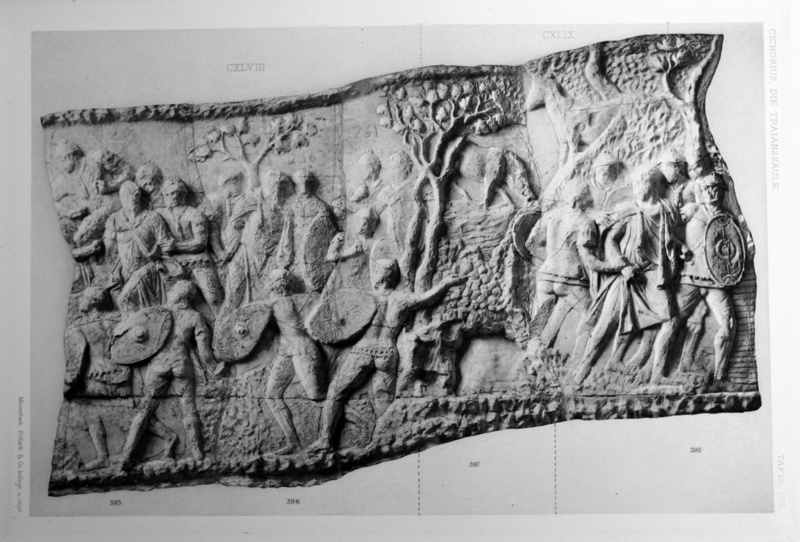 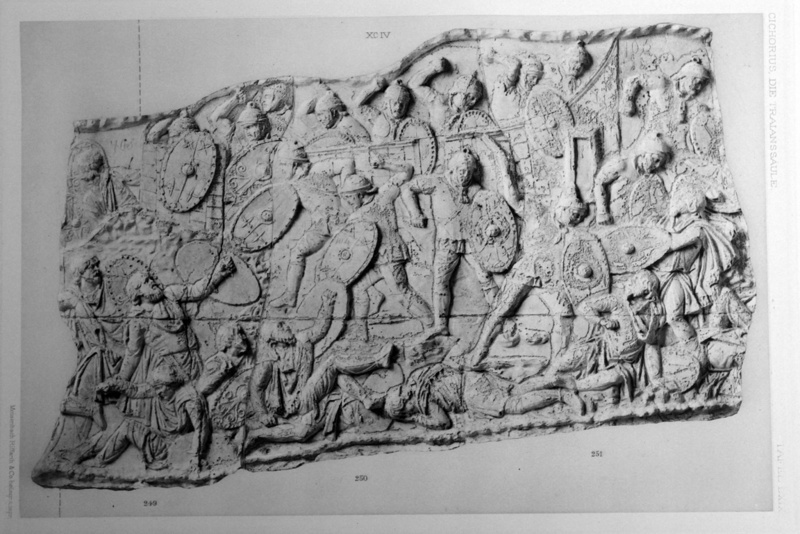 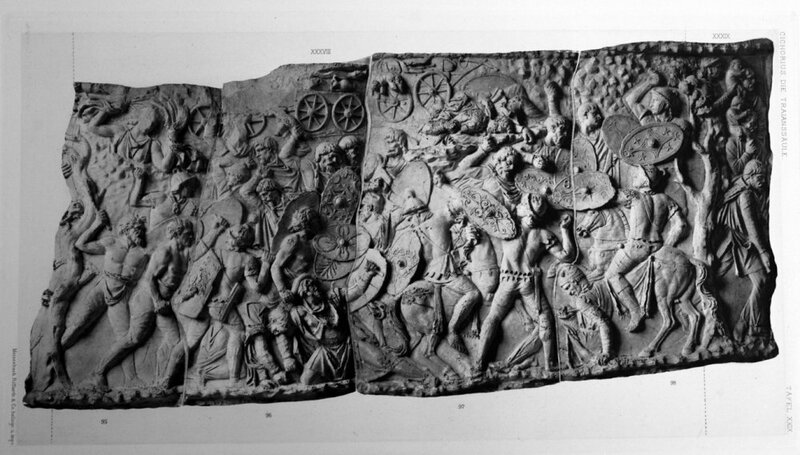 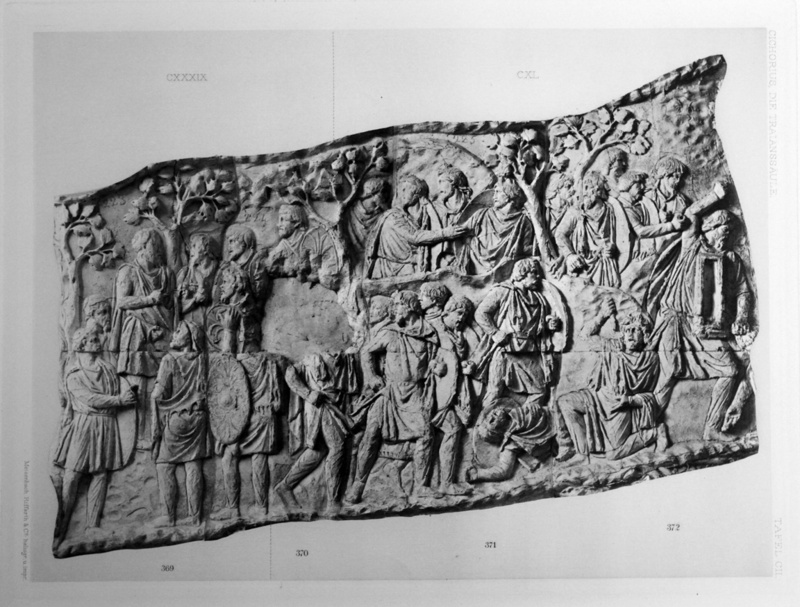 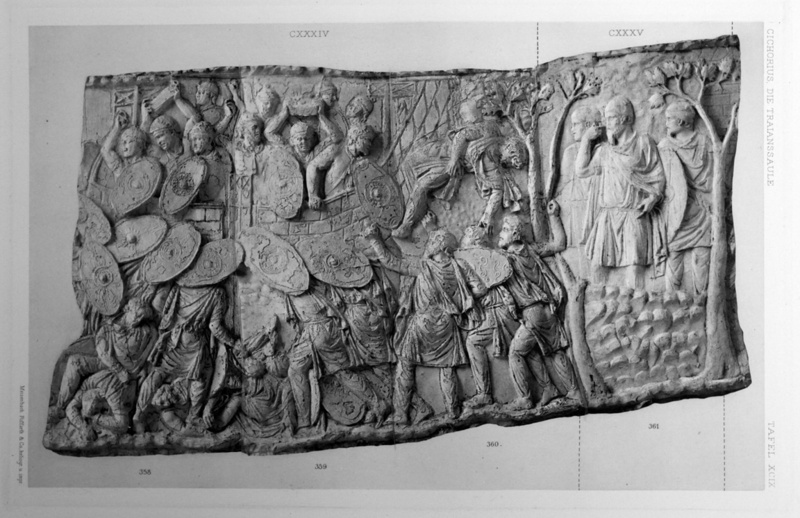 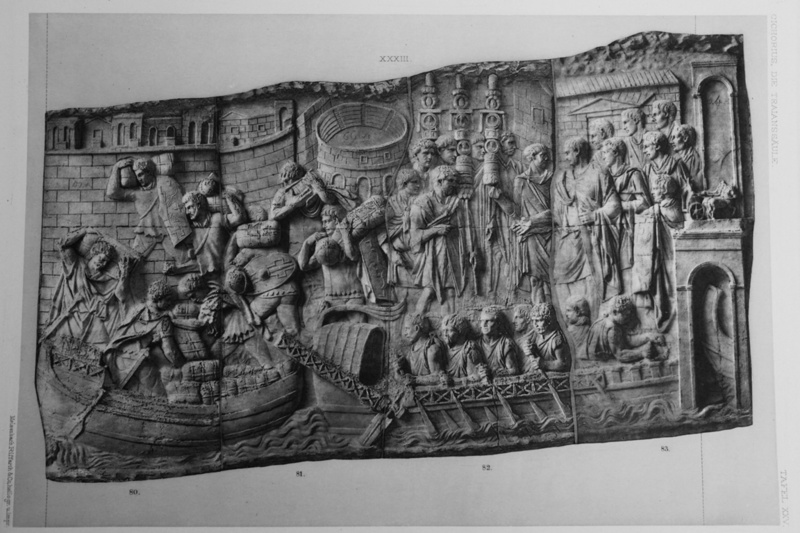 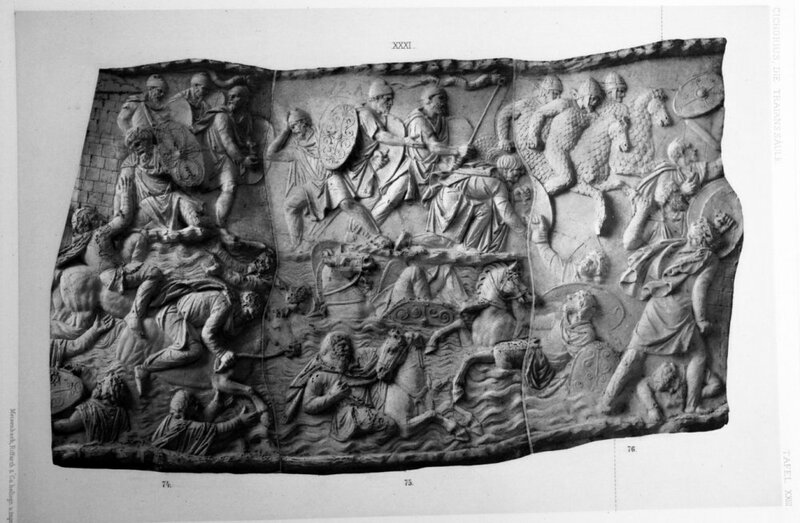 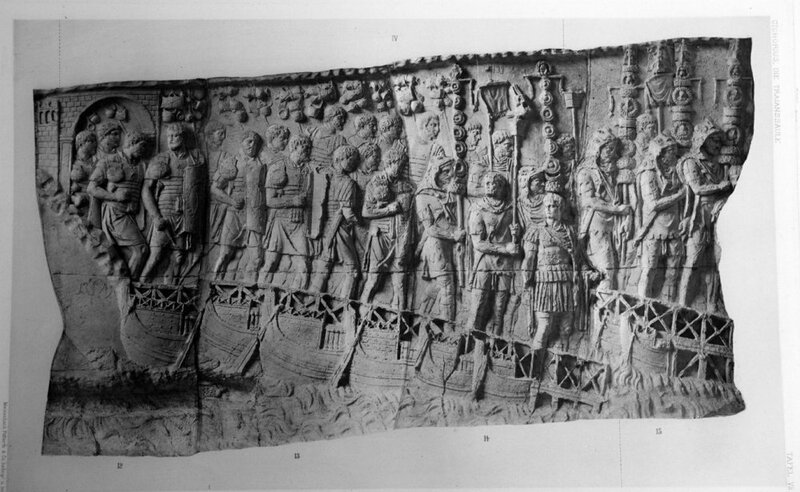 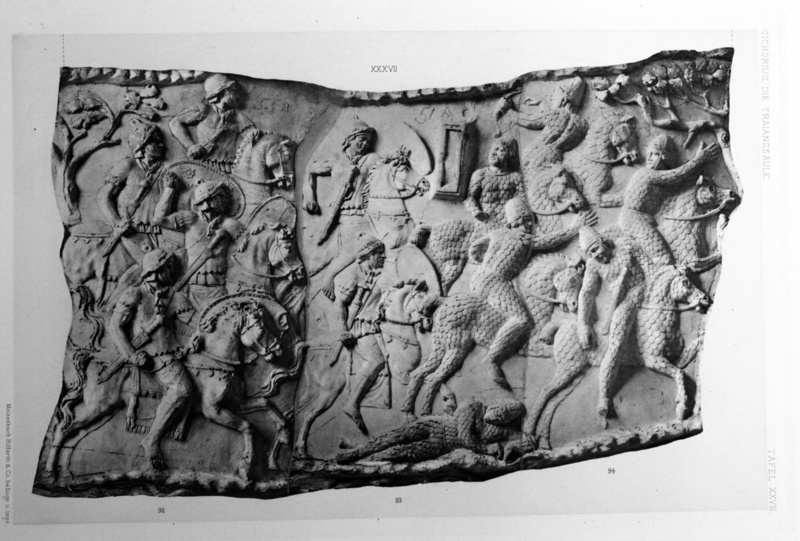 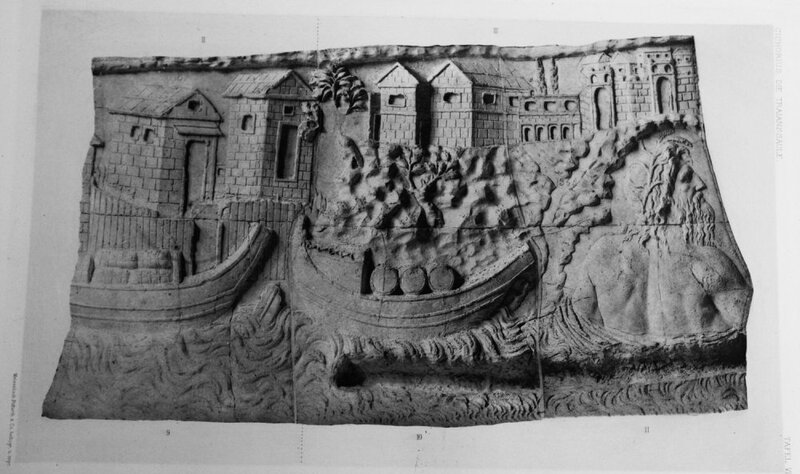 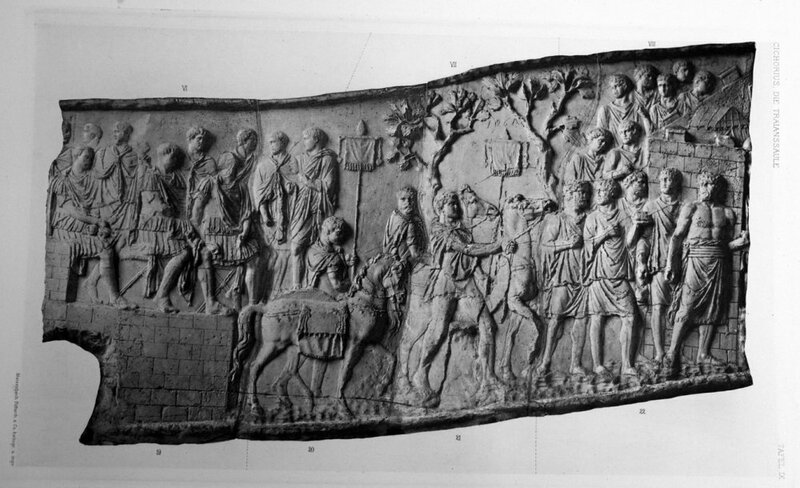 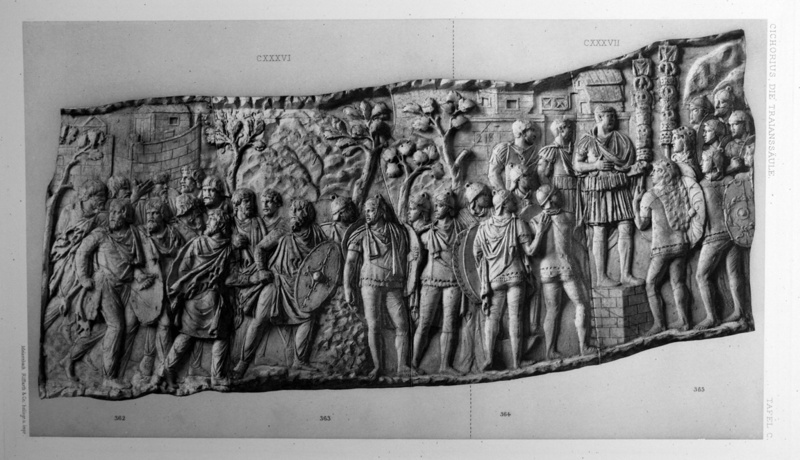 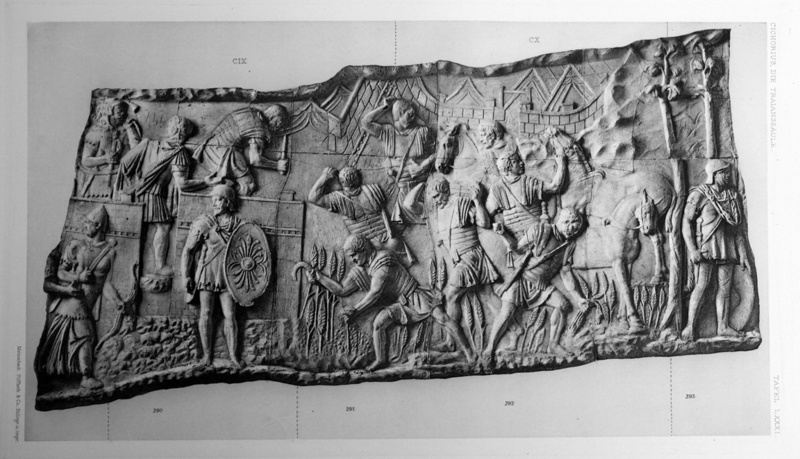 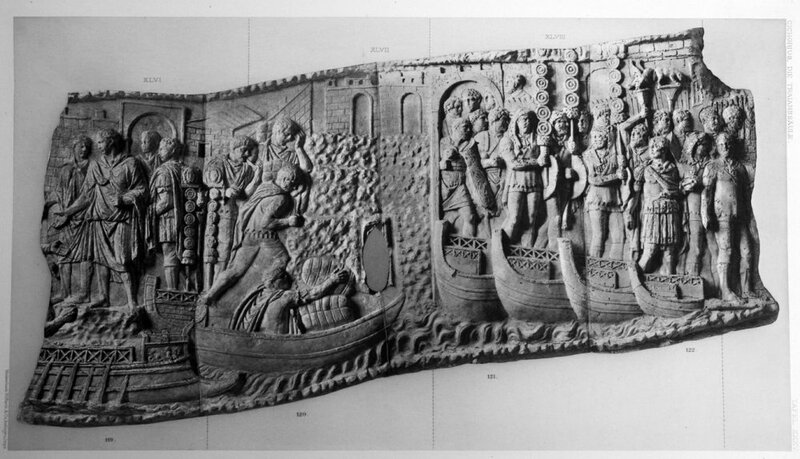 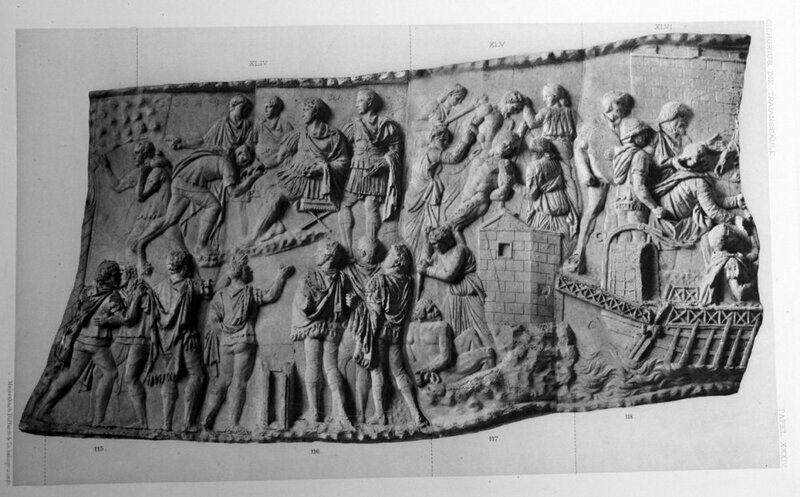 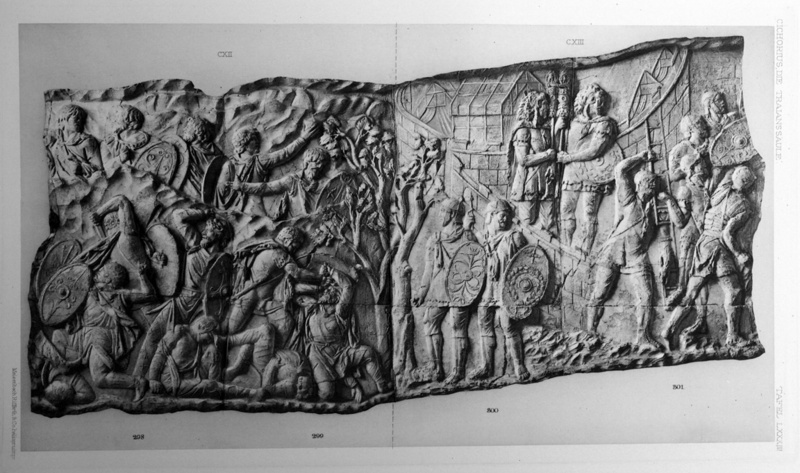 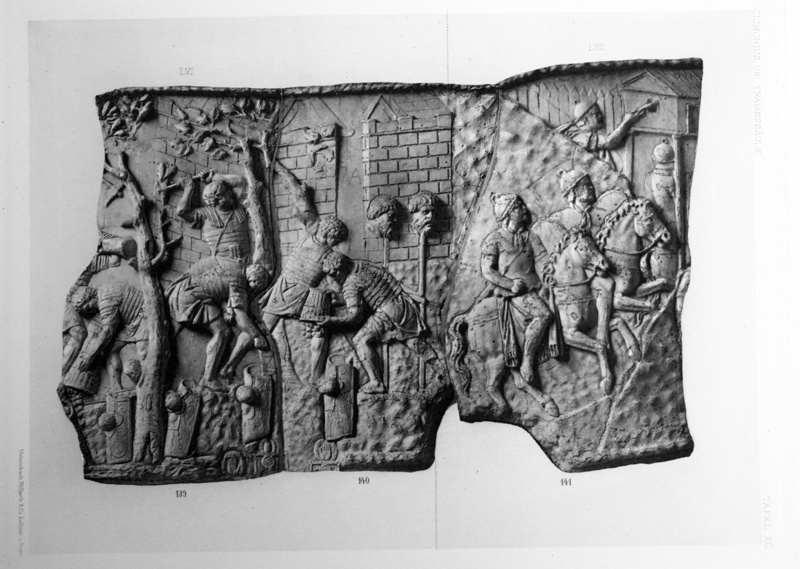 The plates have organized into two galleries, the first of these, Plates I – LVII, brings the sequence to the end of the first Dacian War (corresponding to Cichorius’s scene 78: Victory Writing on her Shield). 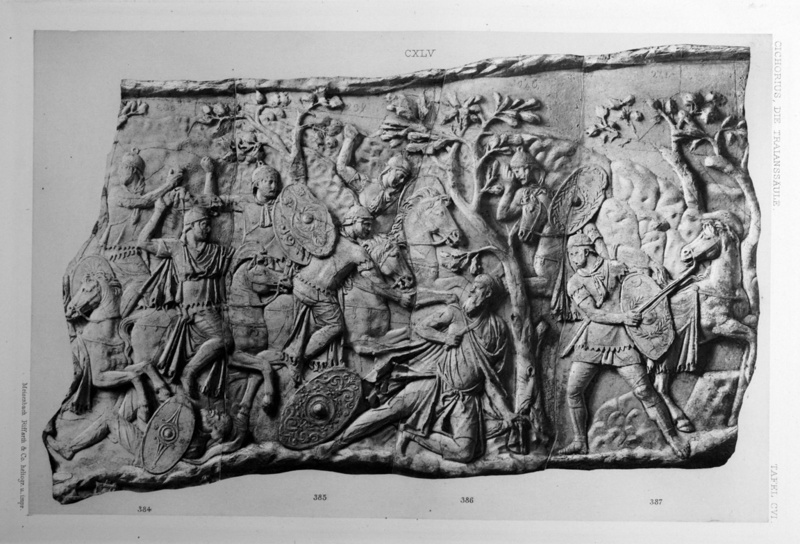 The second set , Plates LVIII-CXIII, cover the second Dacian War and the end of the hostilities between Rome and Dacia. 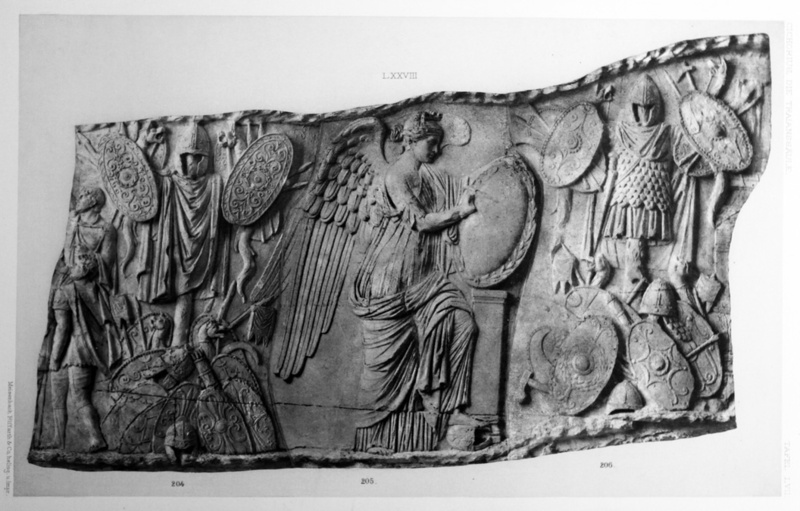 The source images for these galleries were attained in late 2013 from an original edition of the Cichorius plates in the collections of the library of the American Academy in Rome. 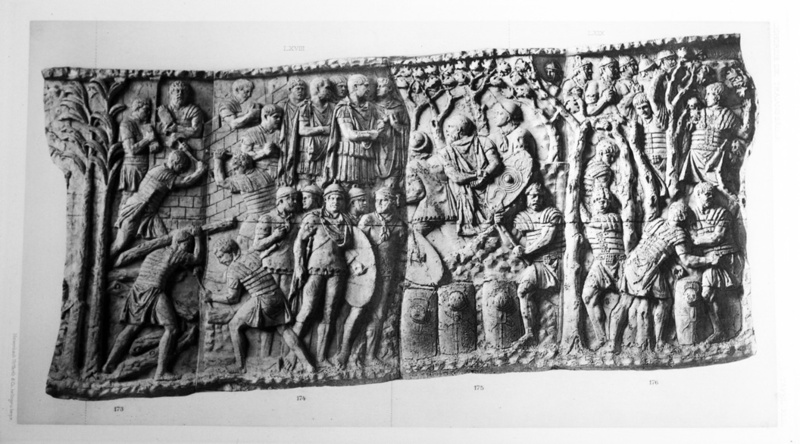 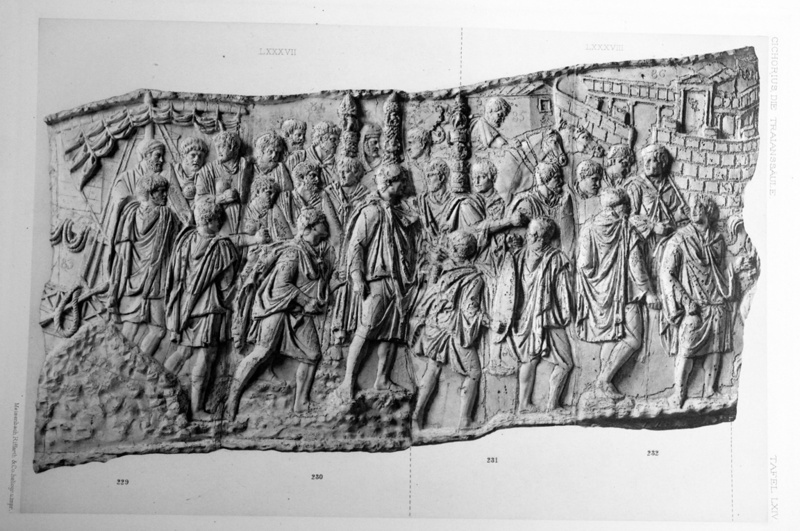 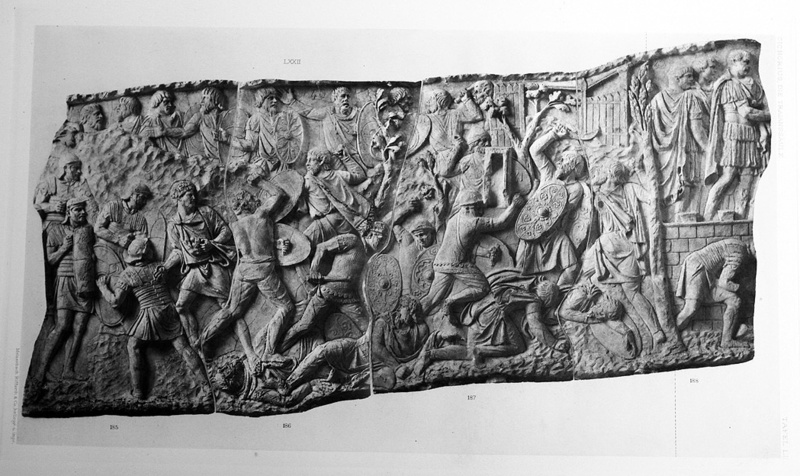 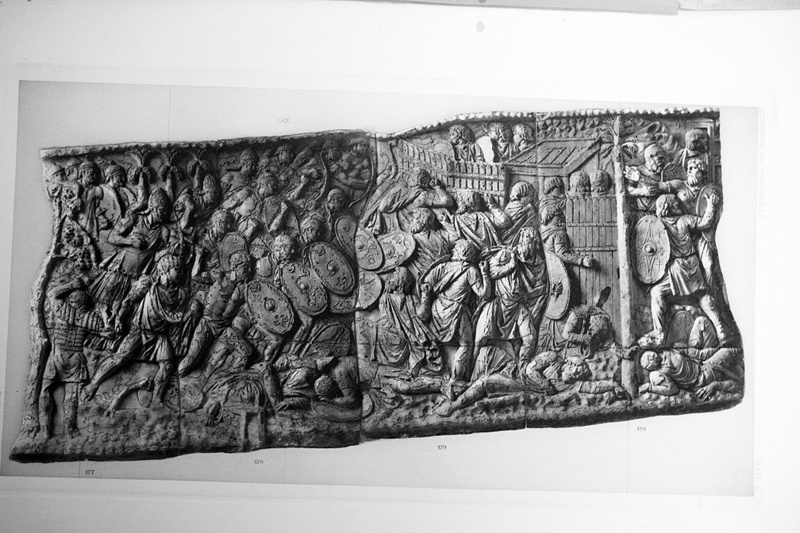 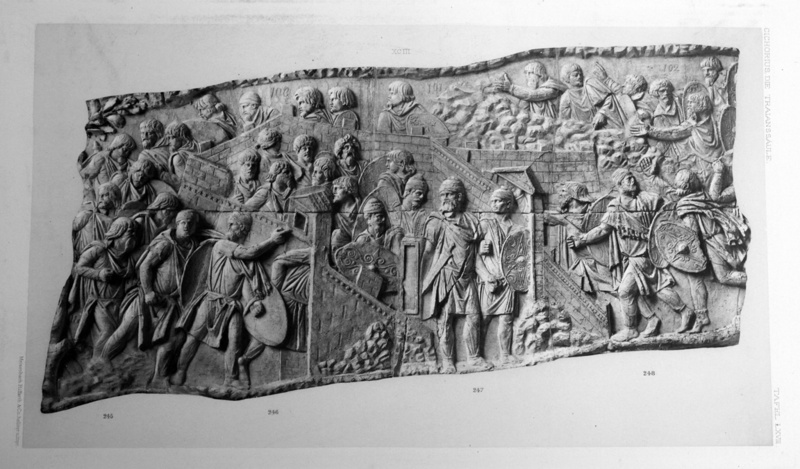 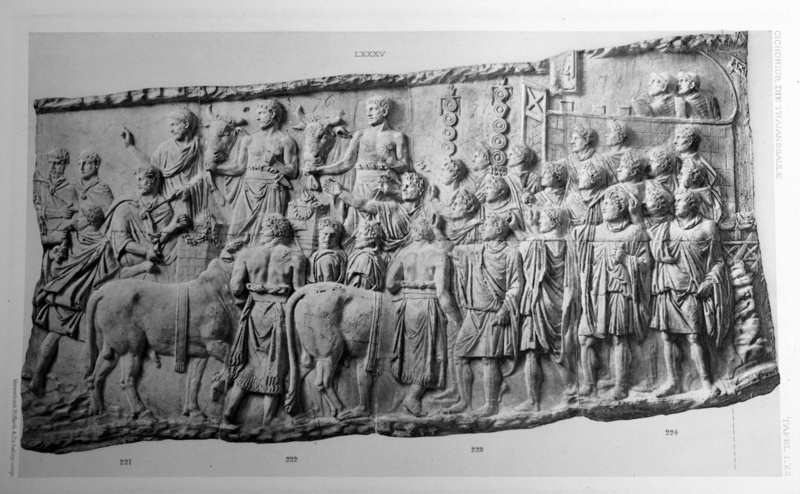 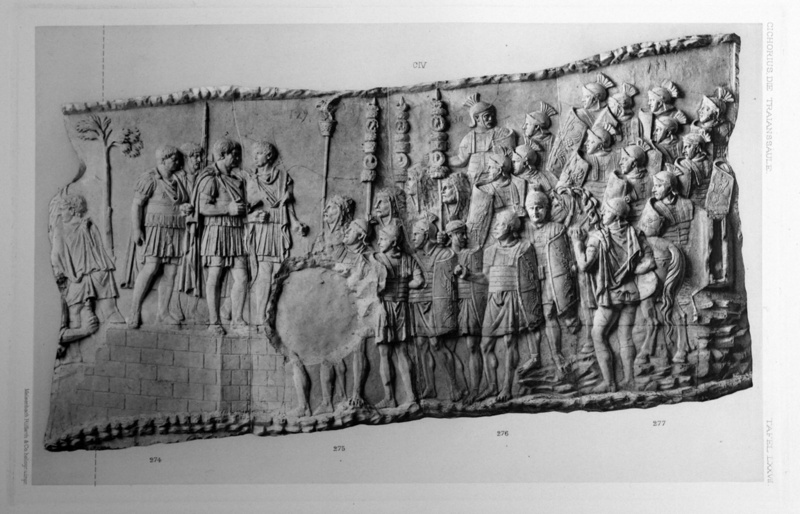 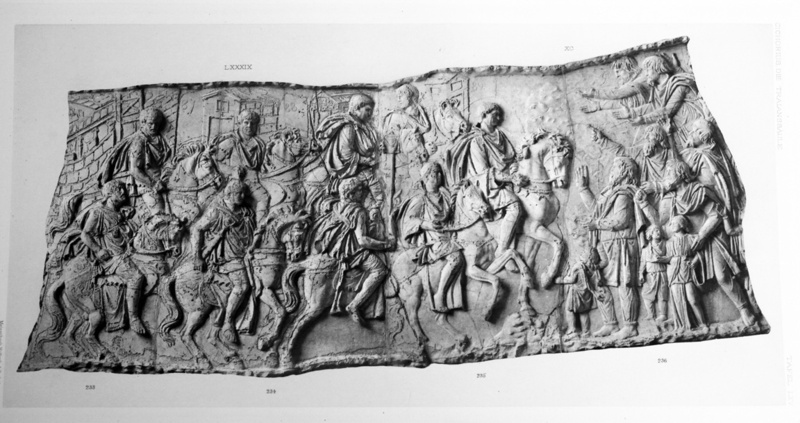 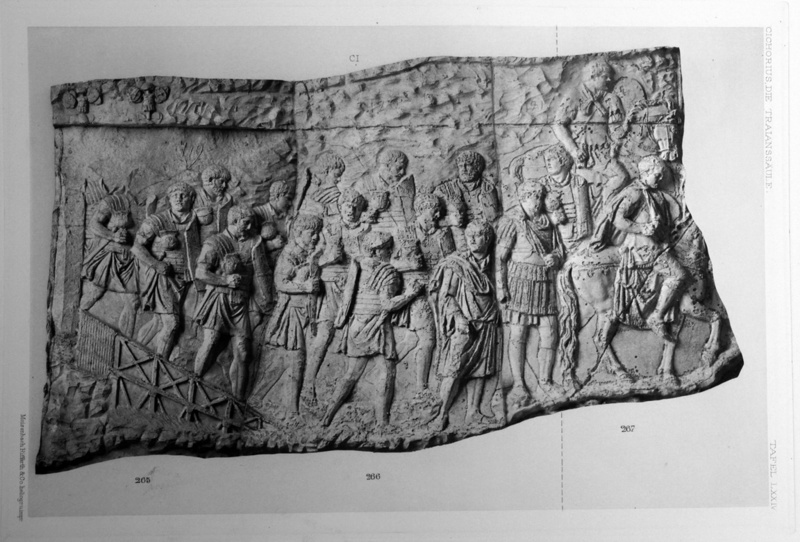 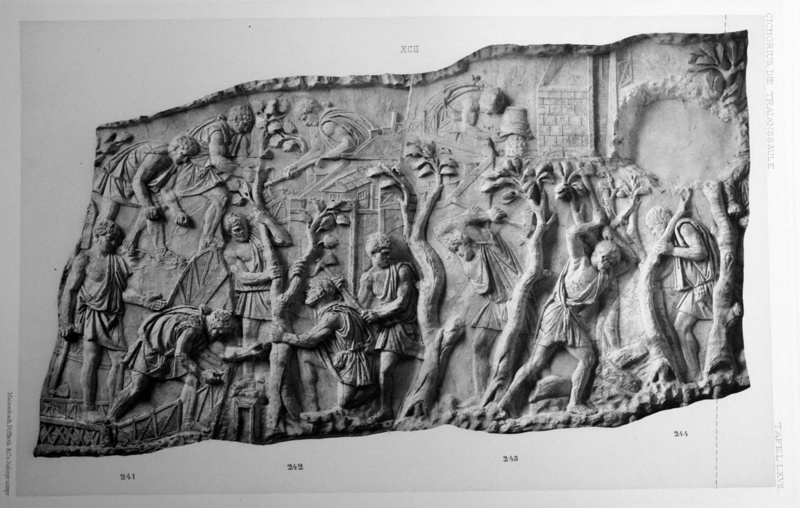 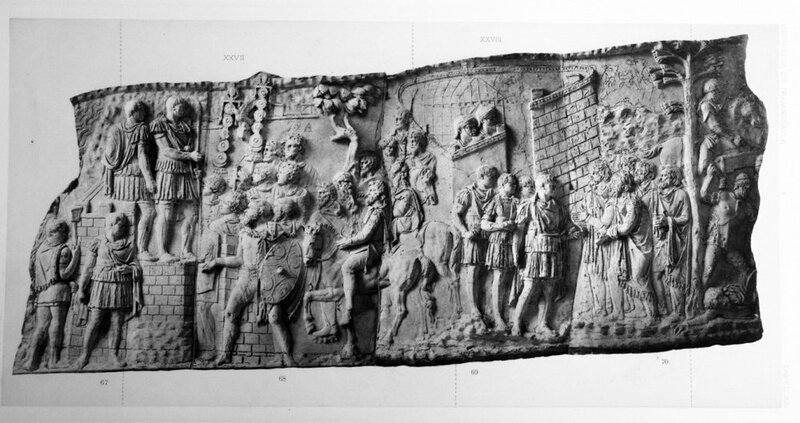 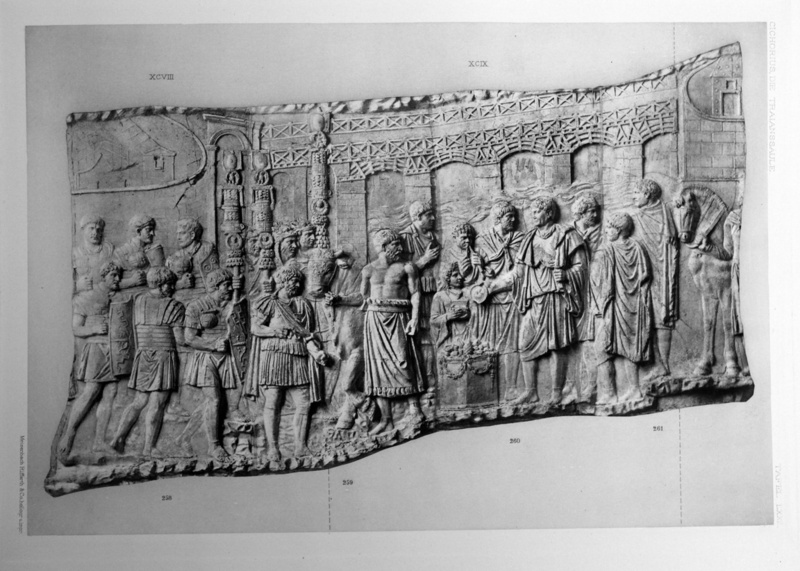 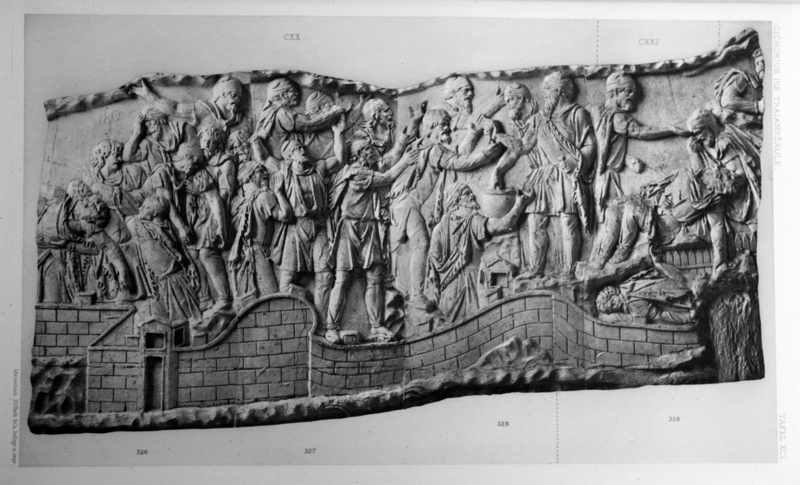 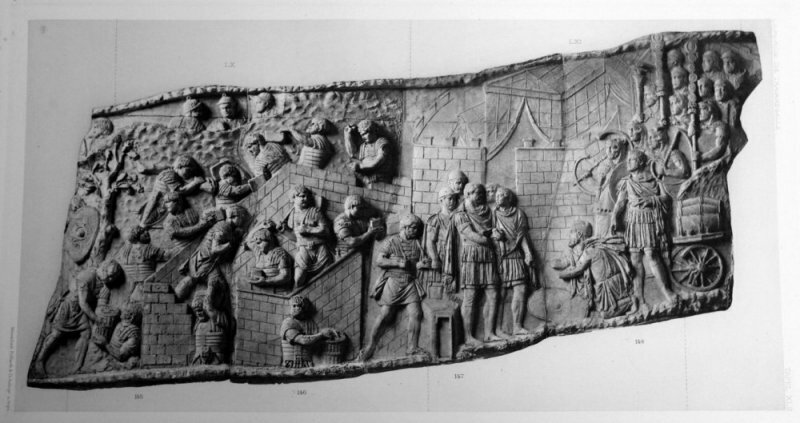 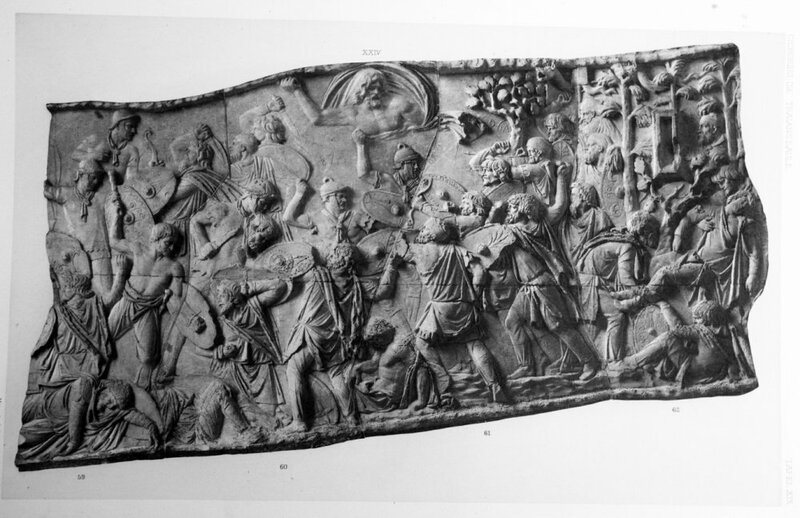 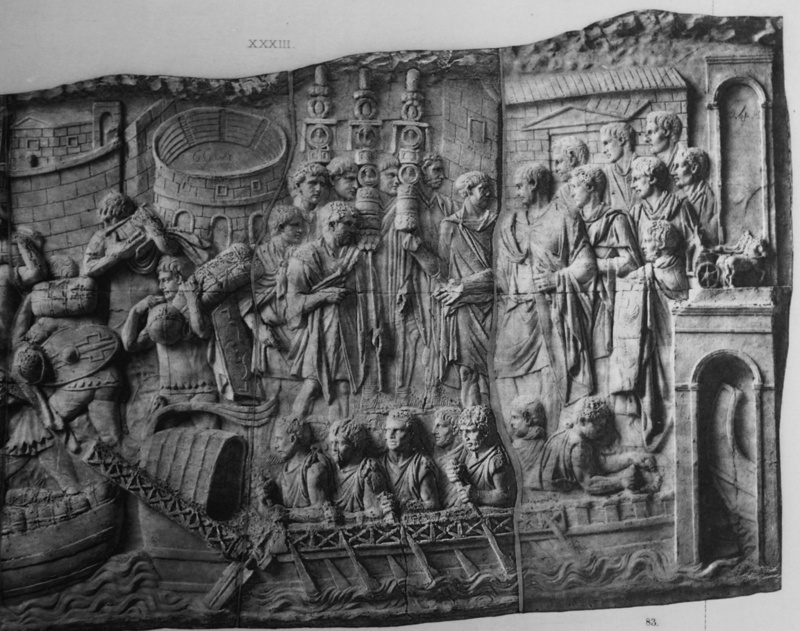 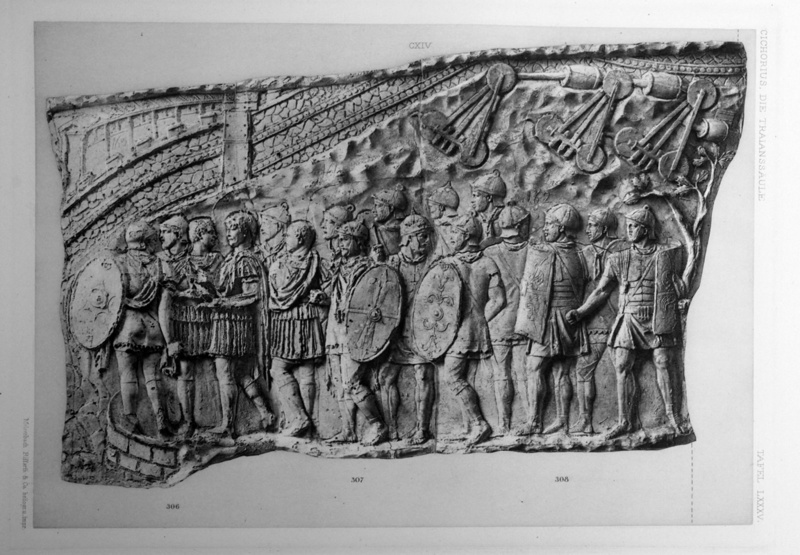 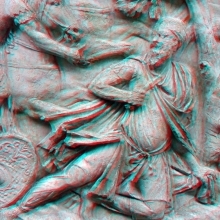 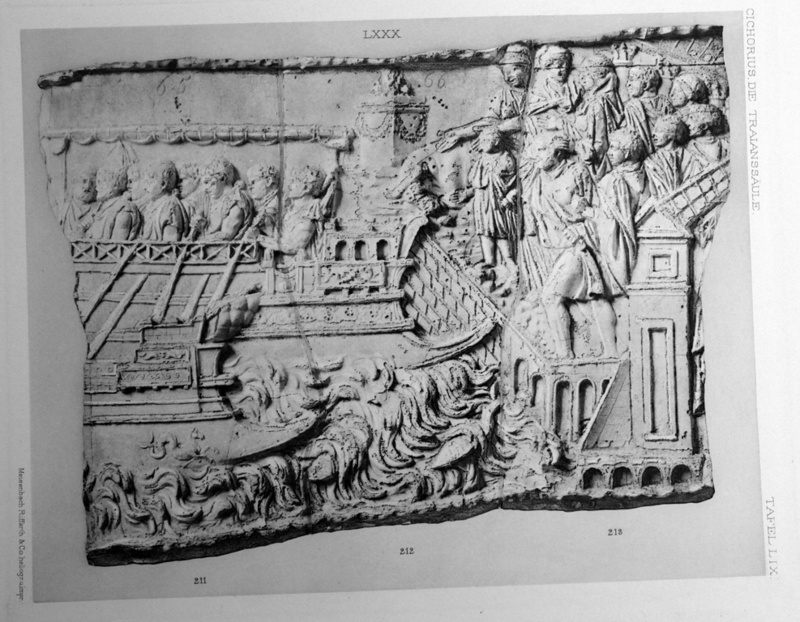 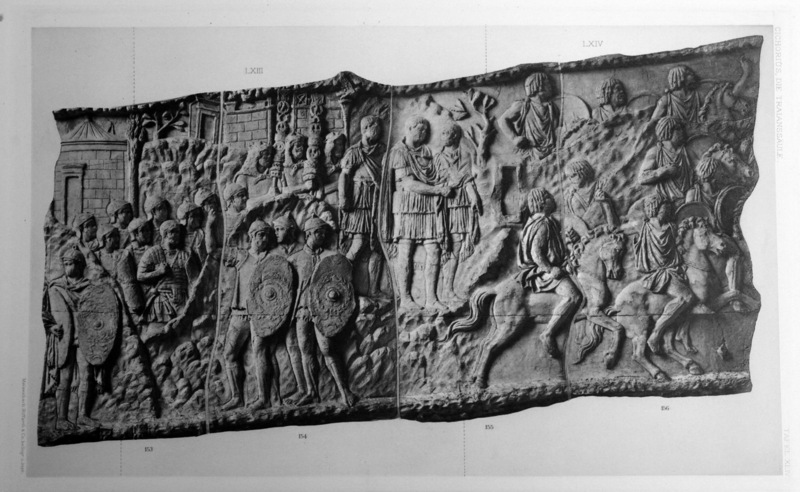 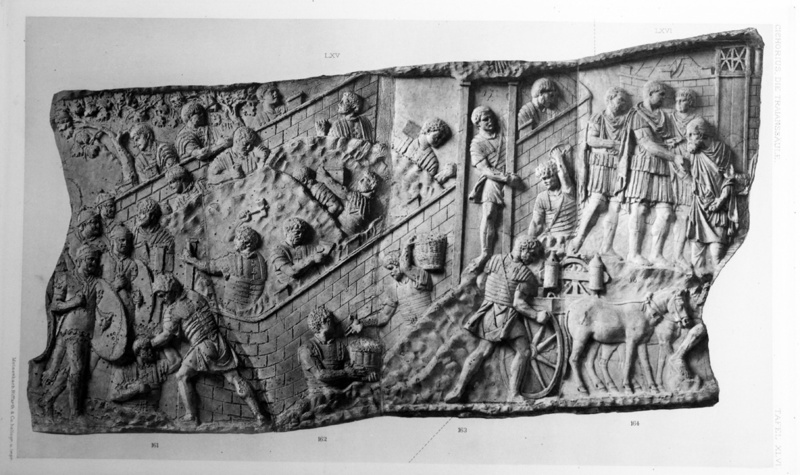 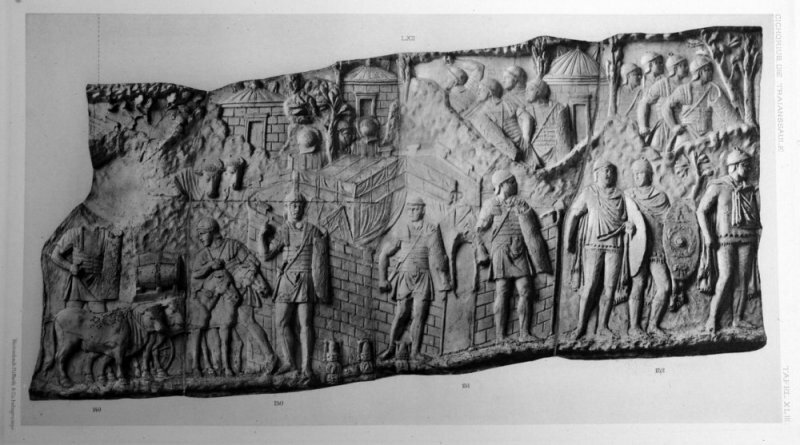 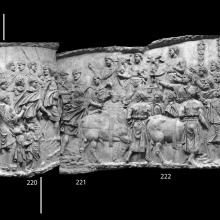 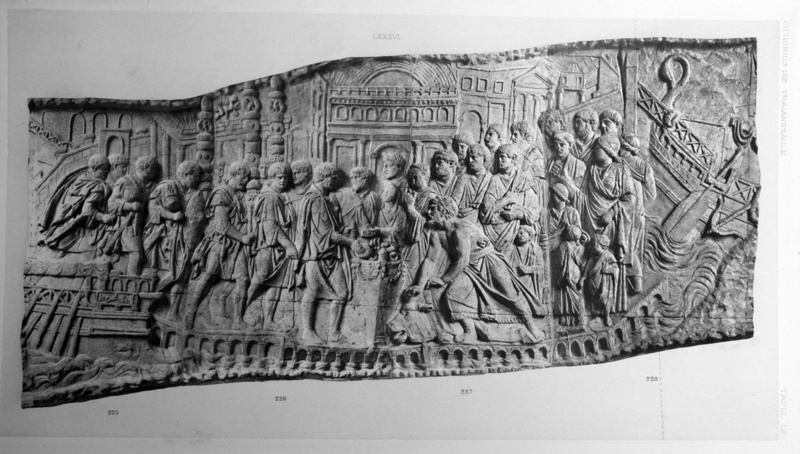 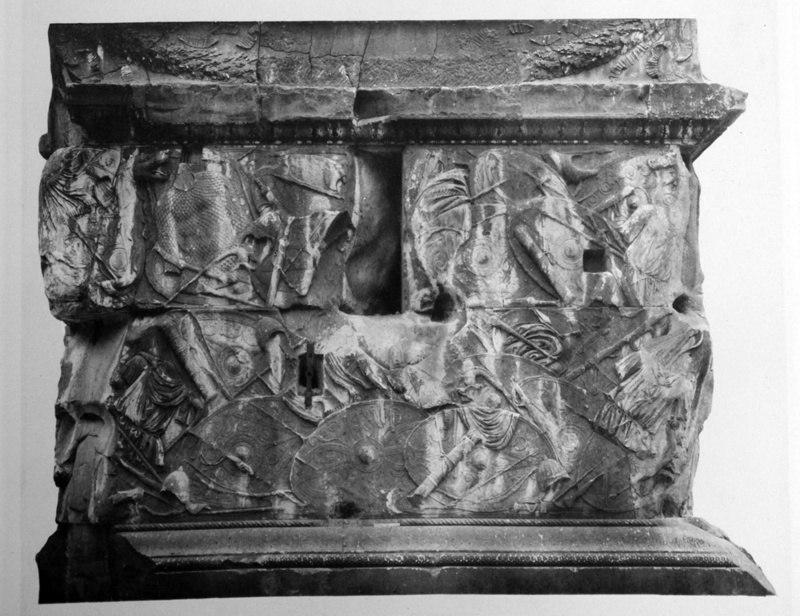 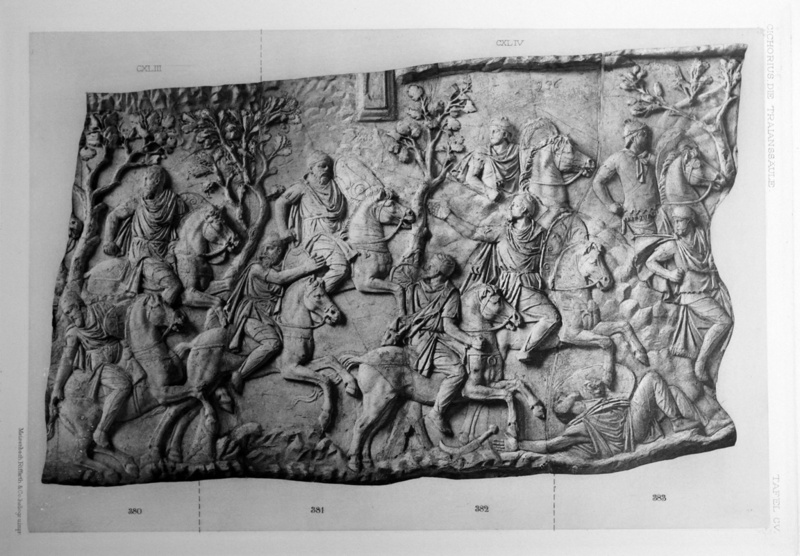 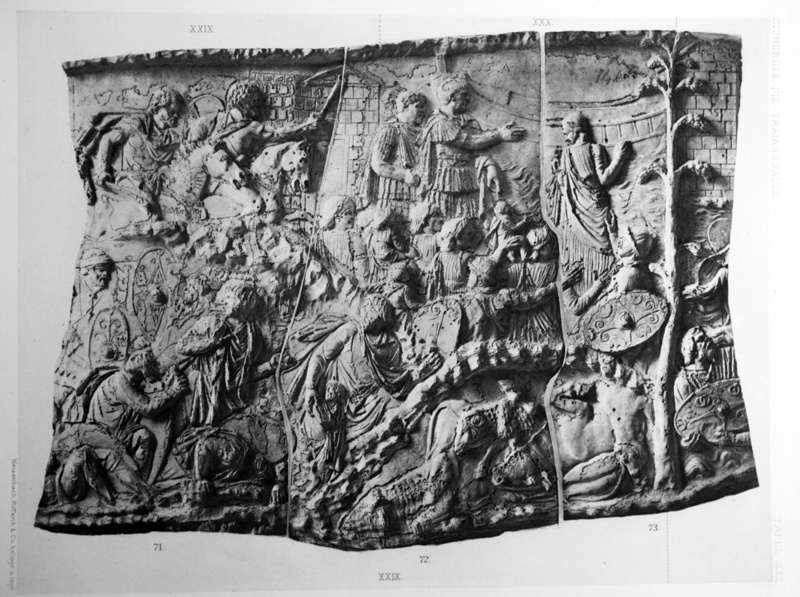 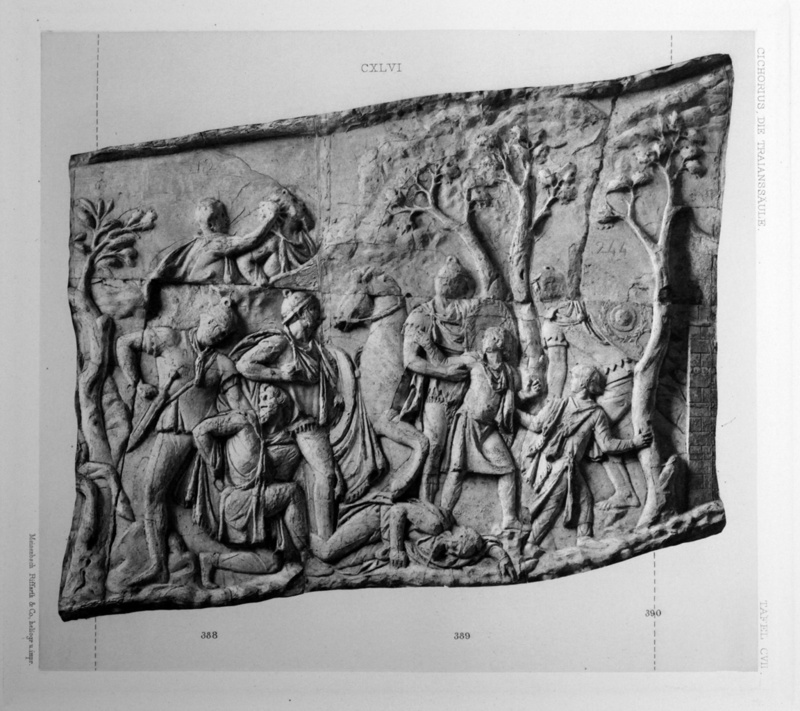 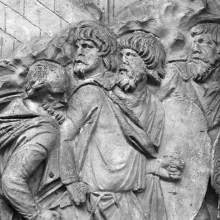 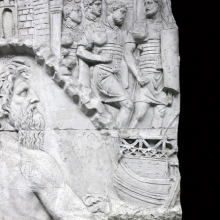 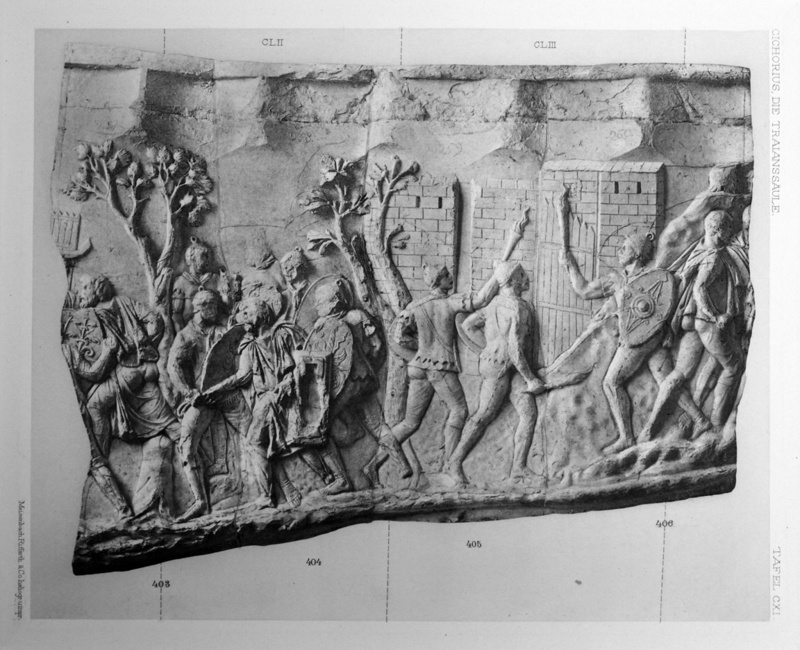 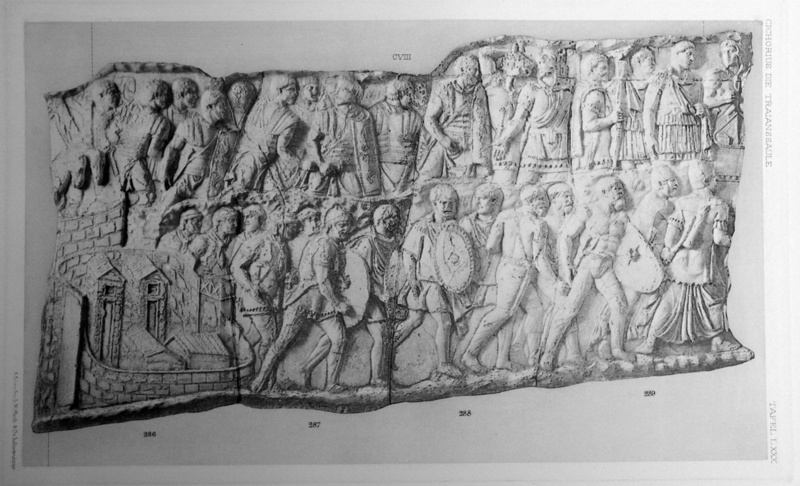 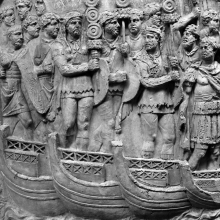 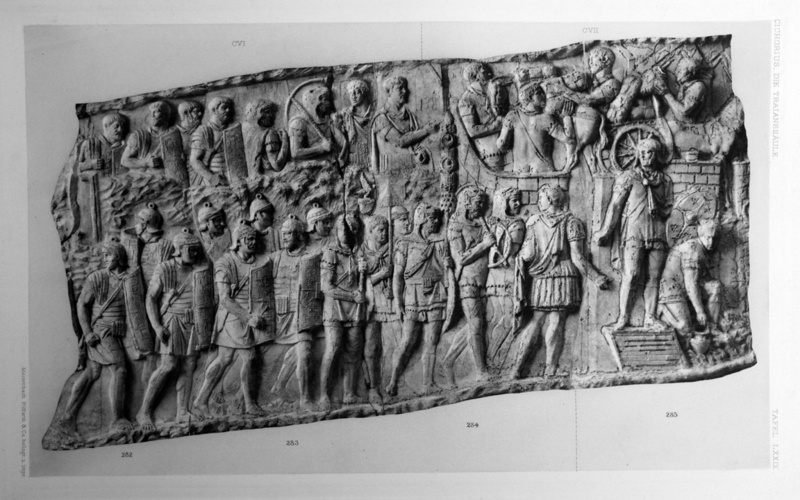 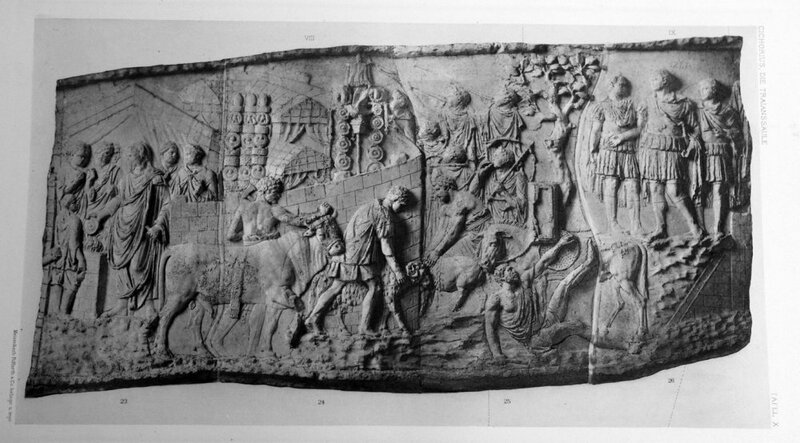 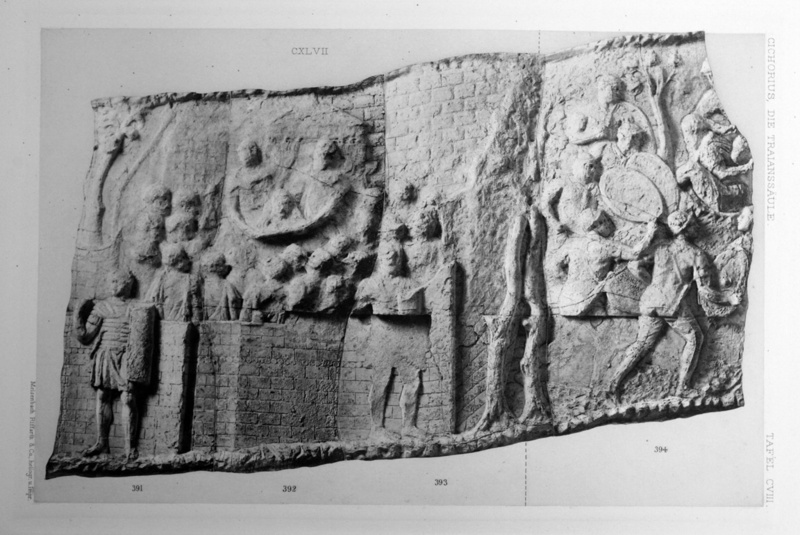 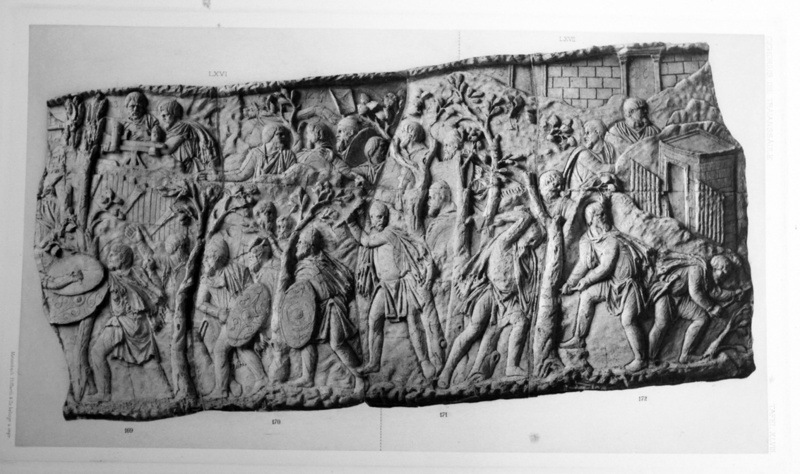 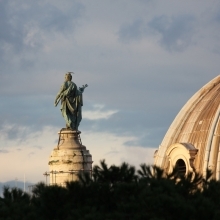 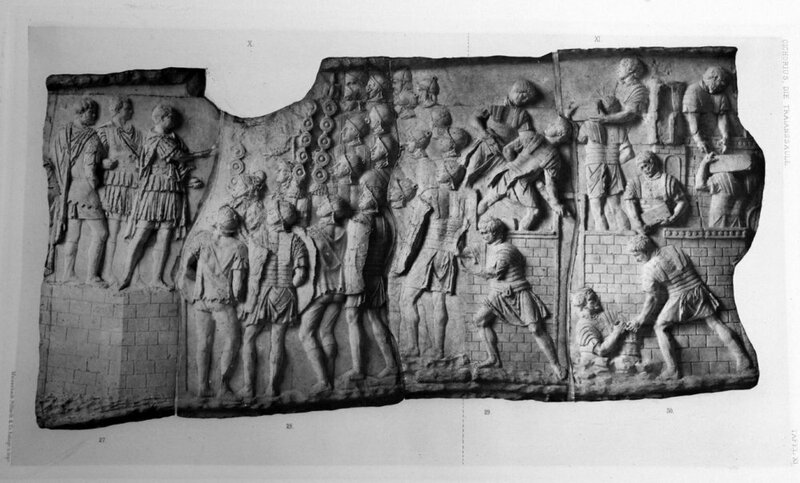 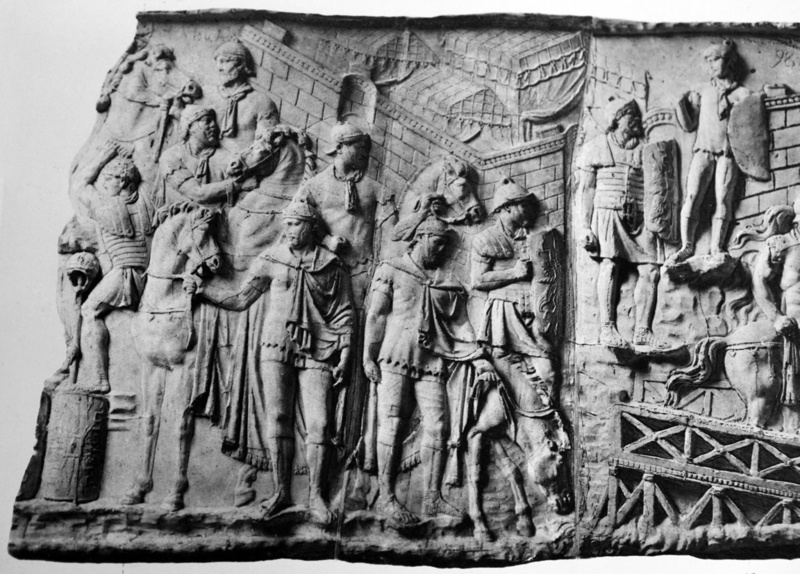 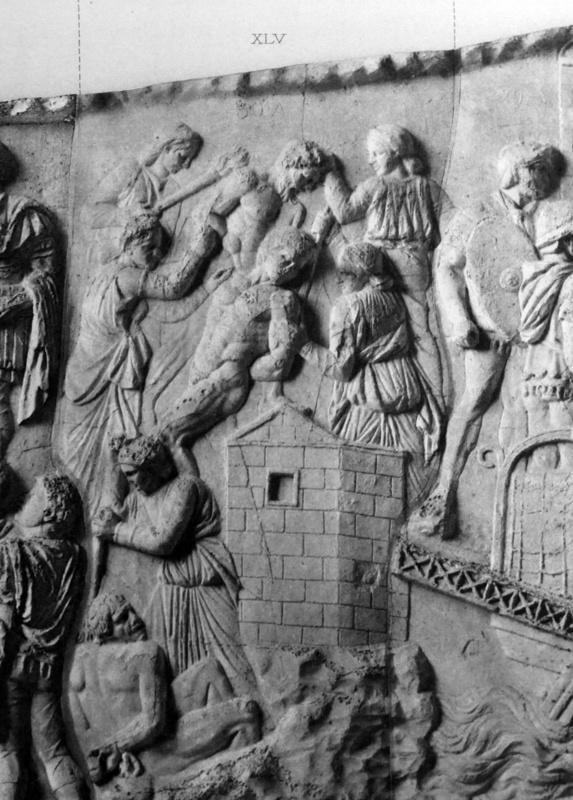 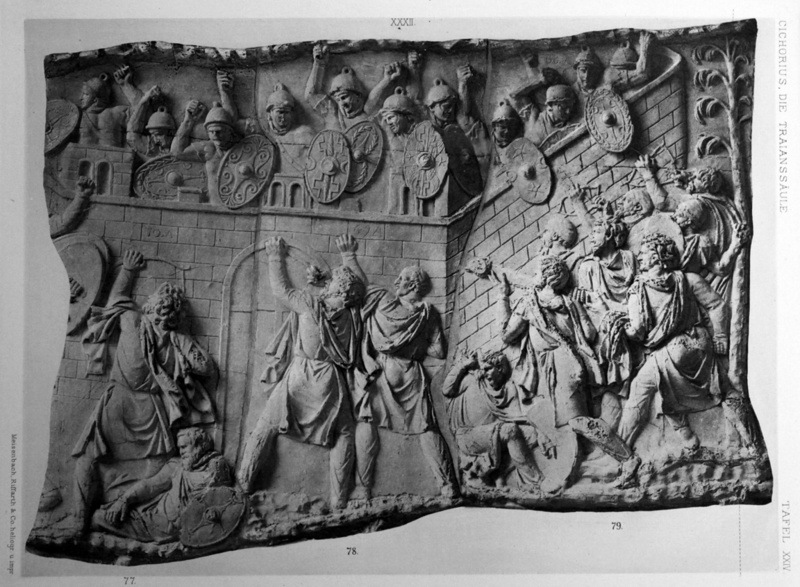 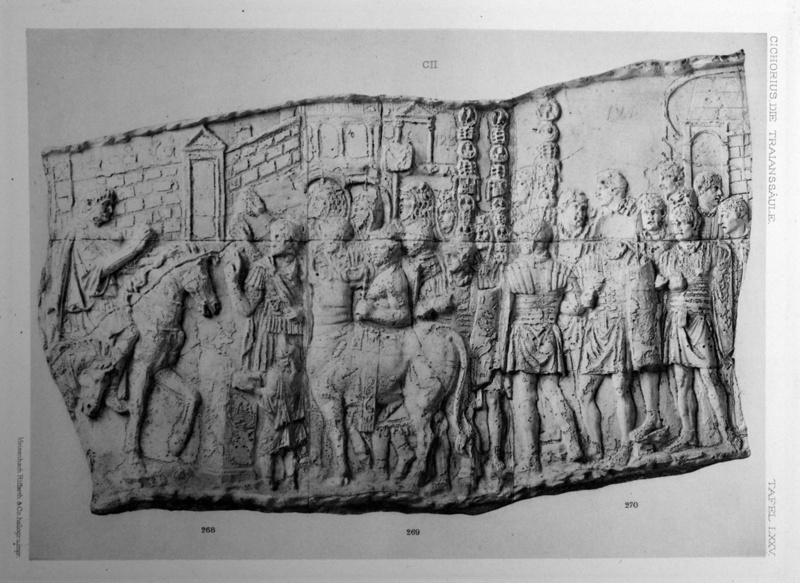 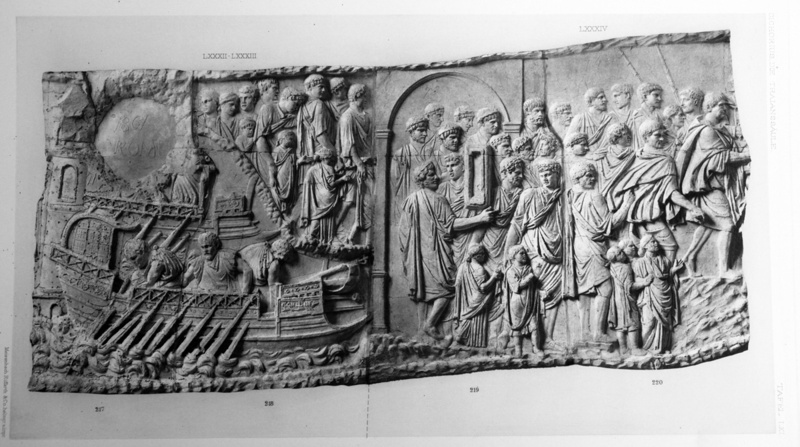 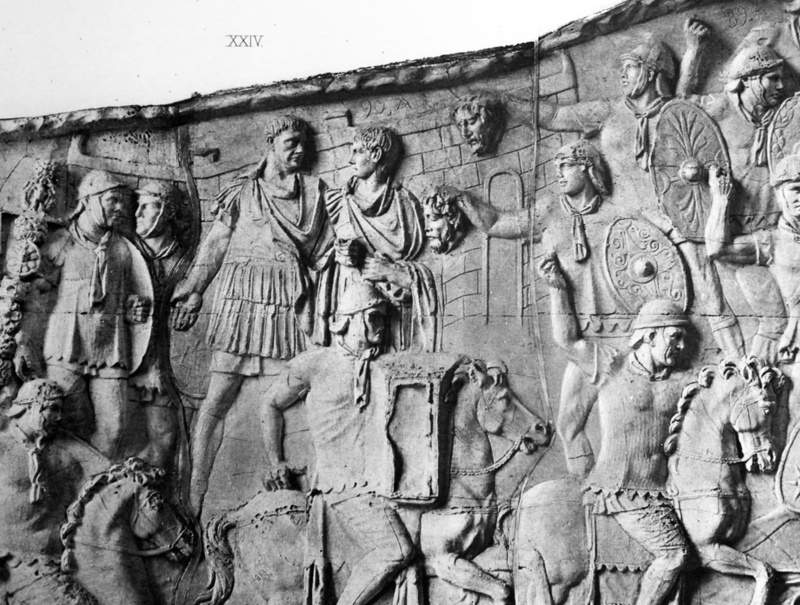 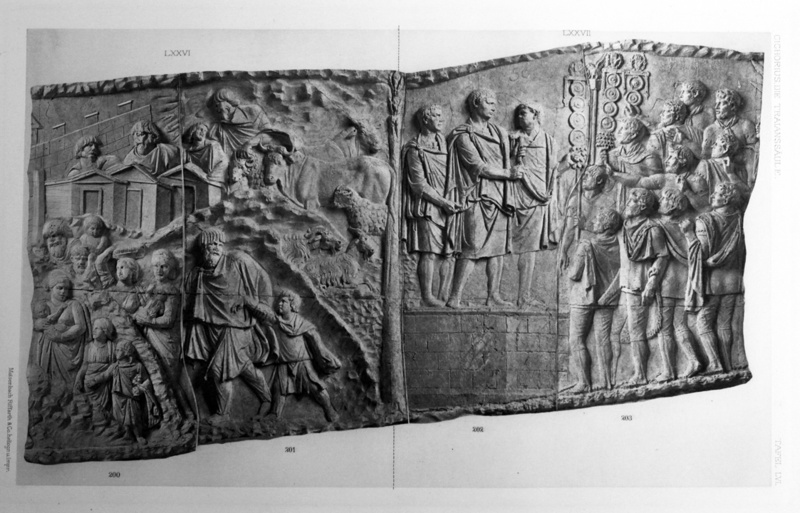 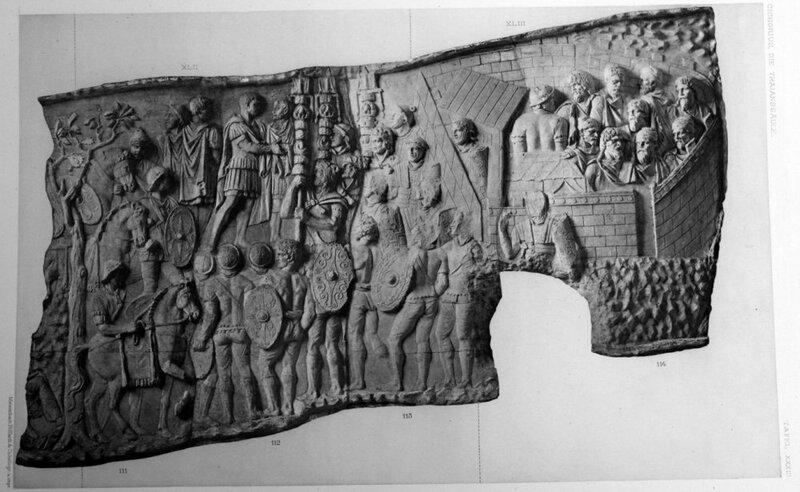 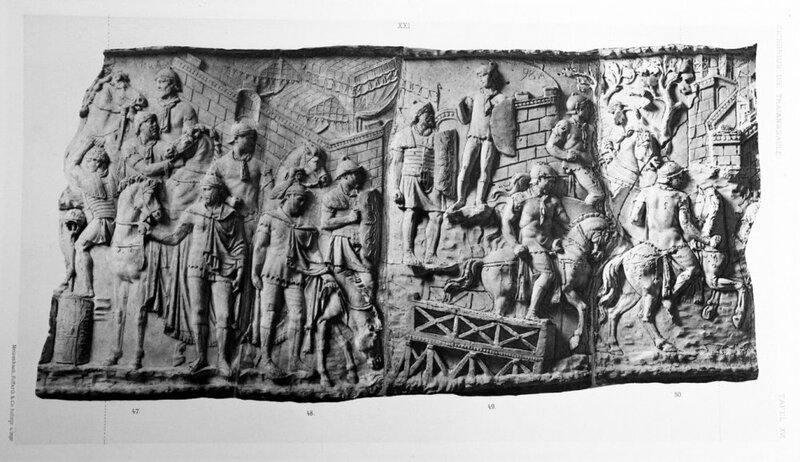 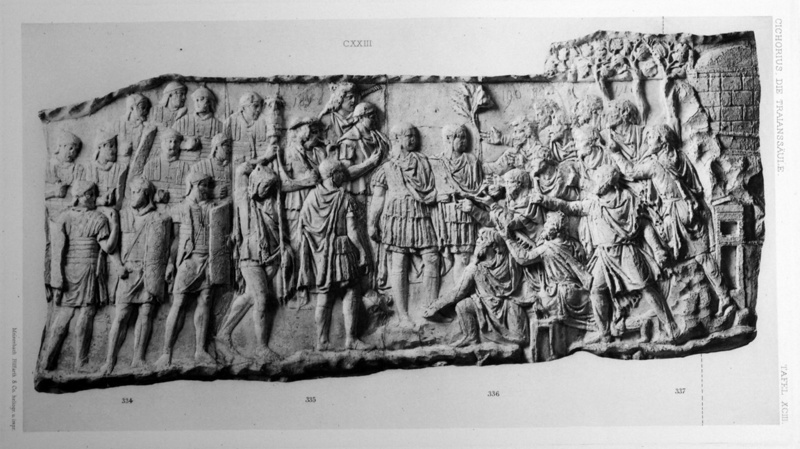 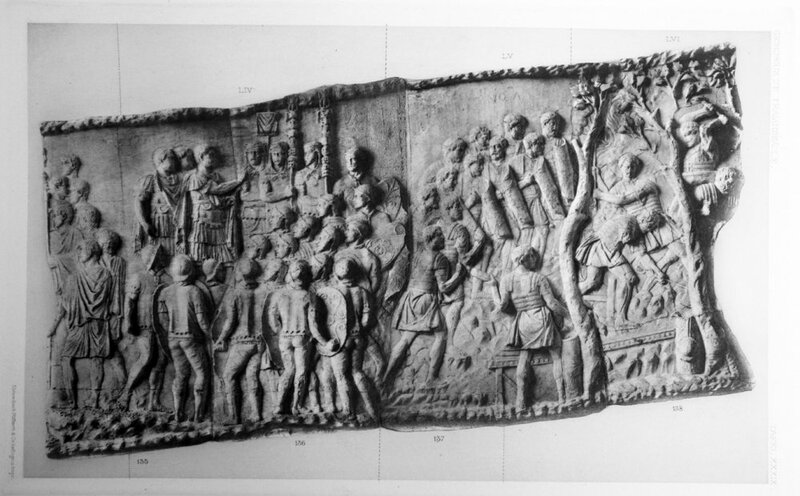 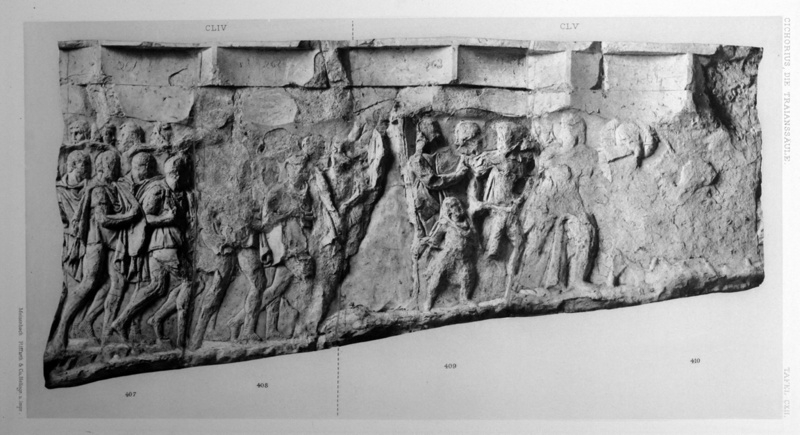 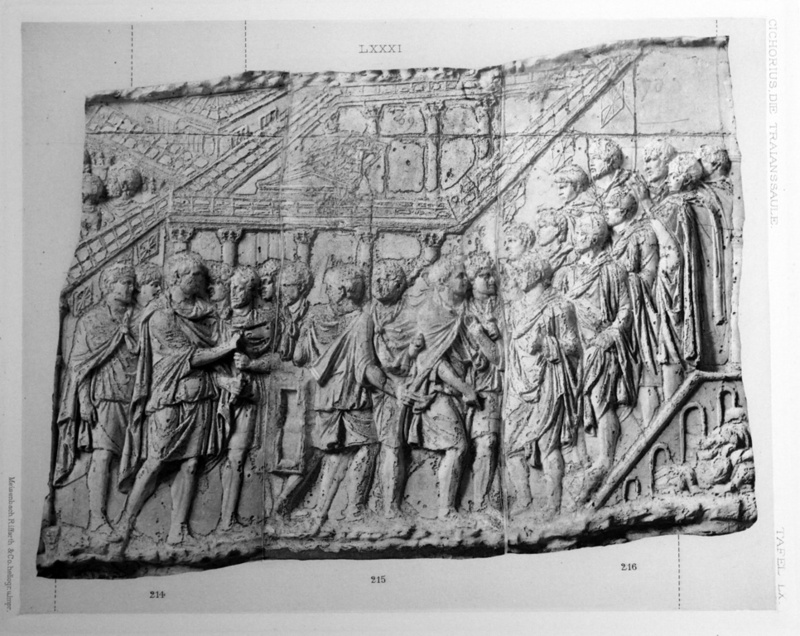 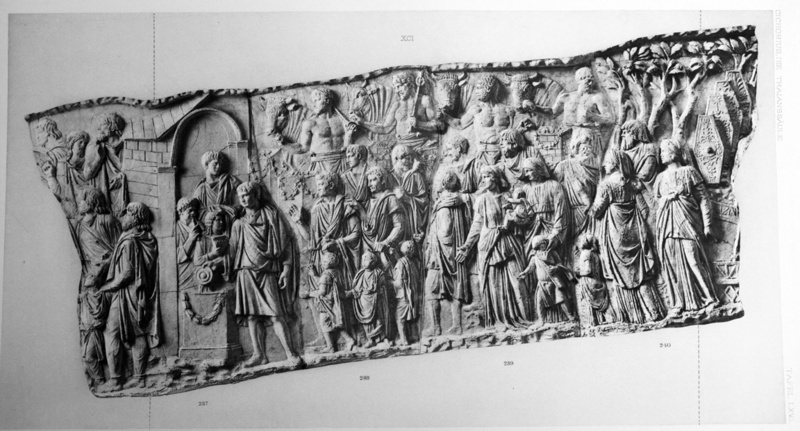 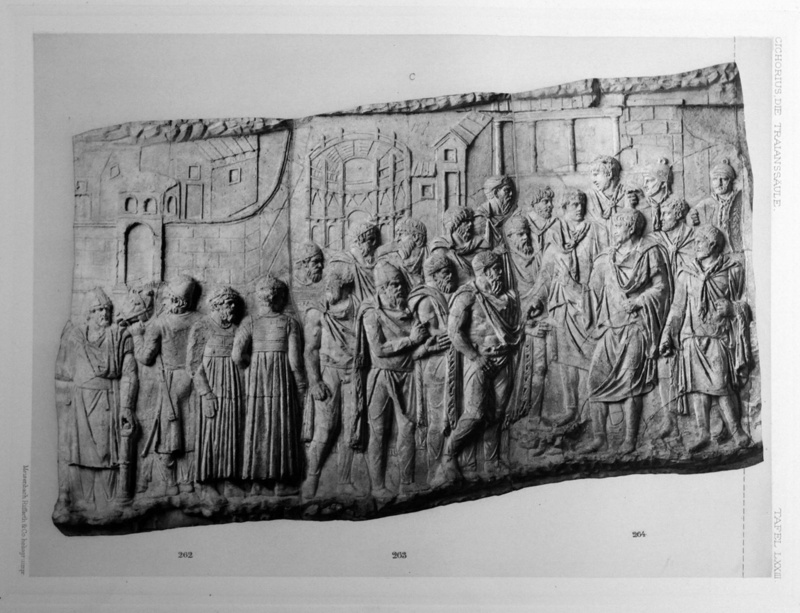 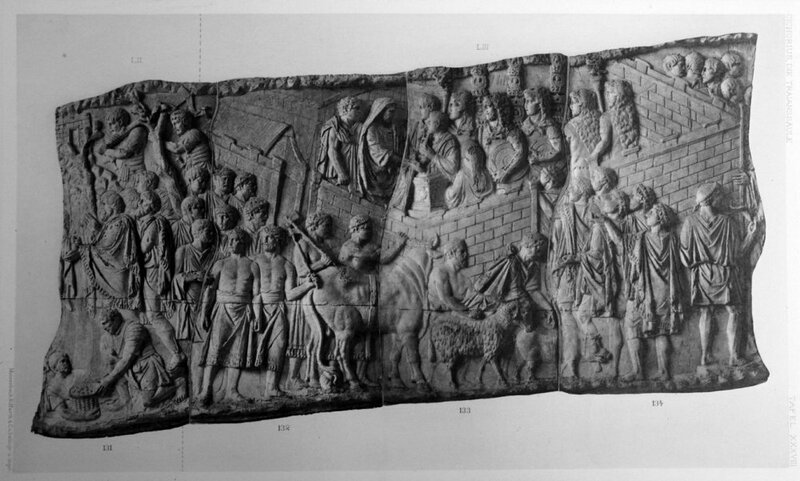 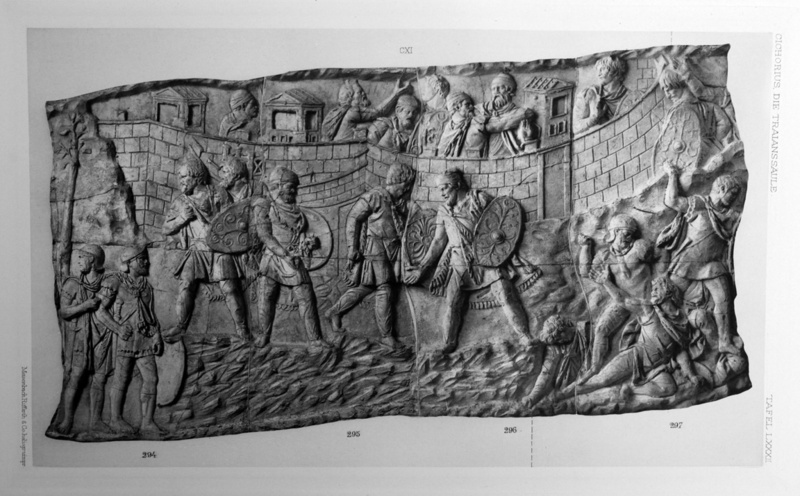 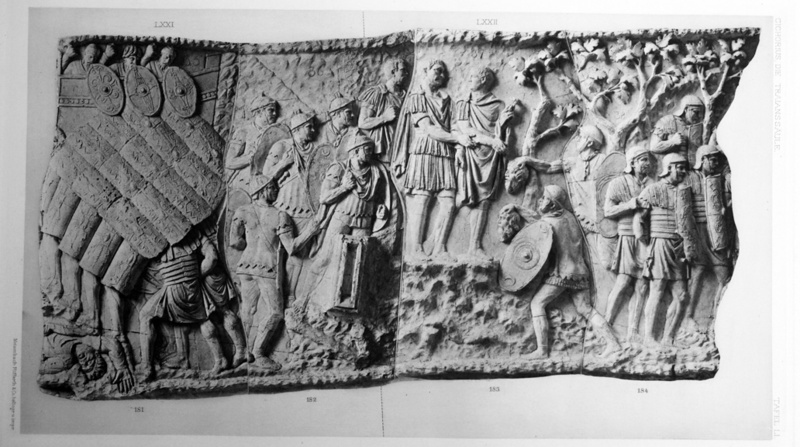 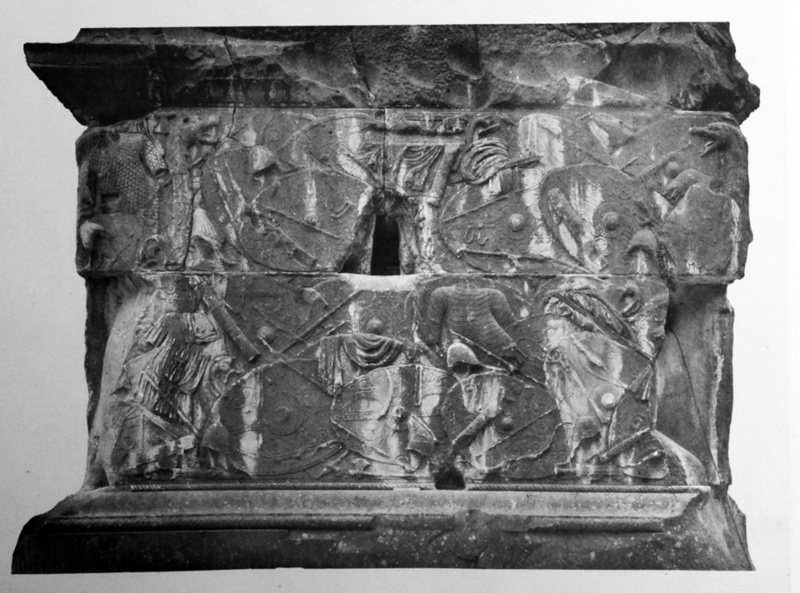 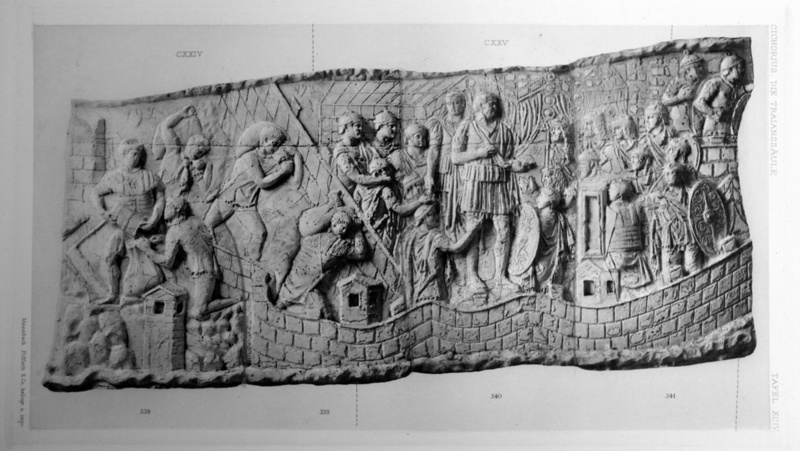 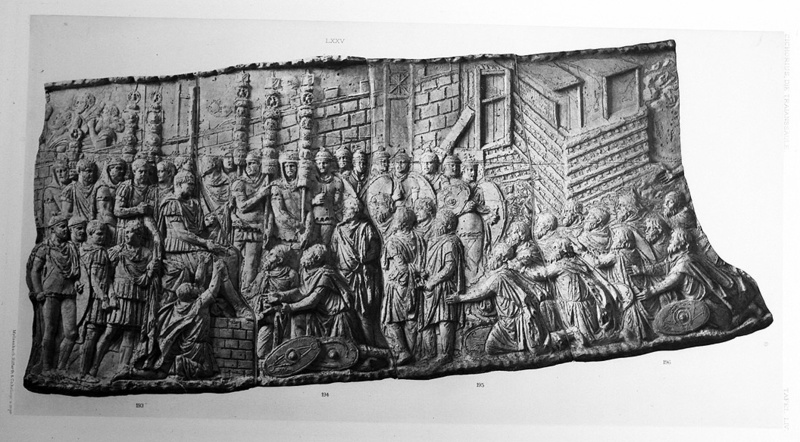 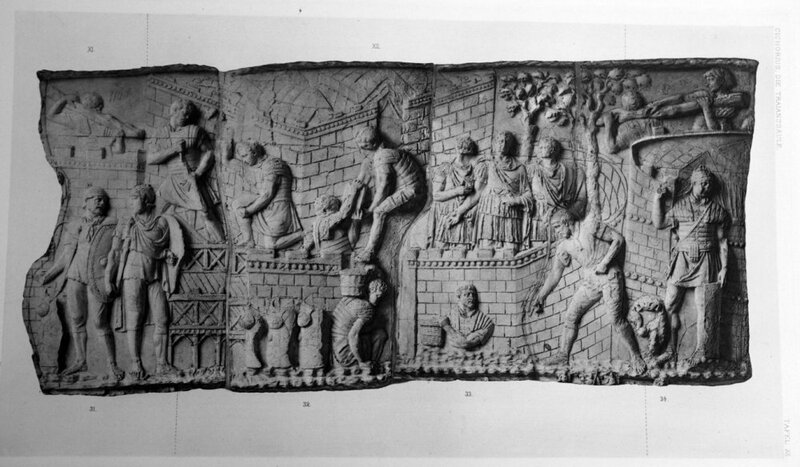 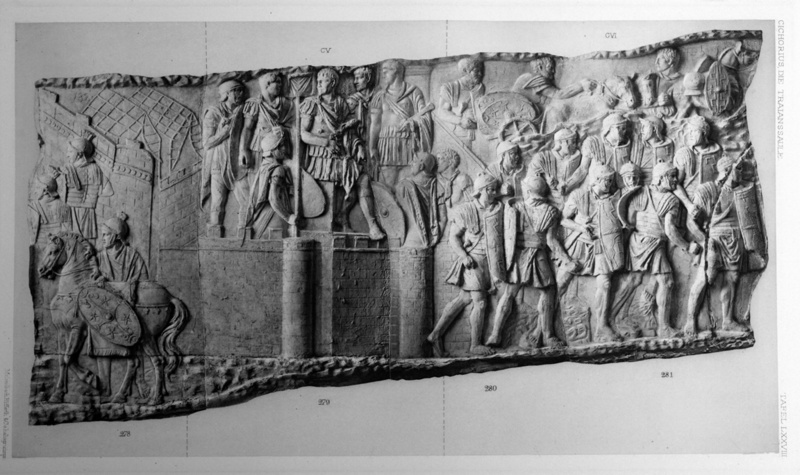 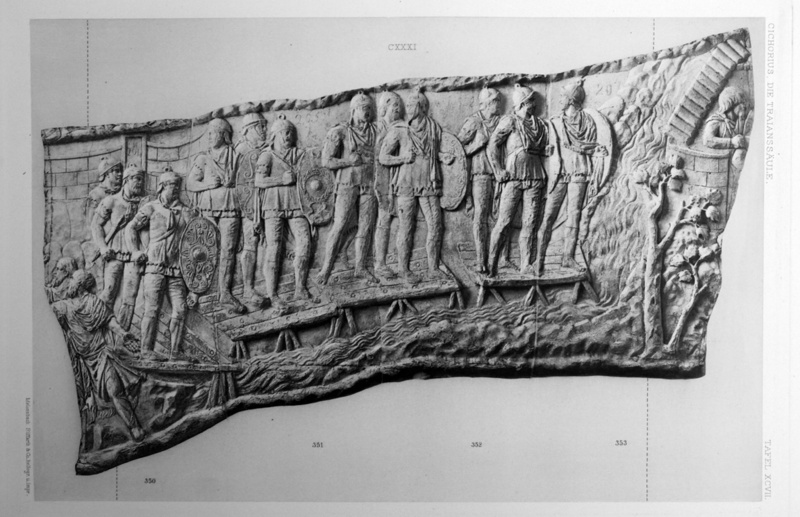 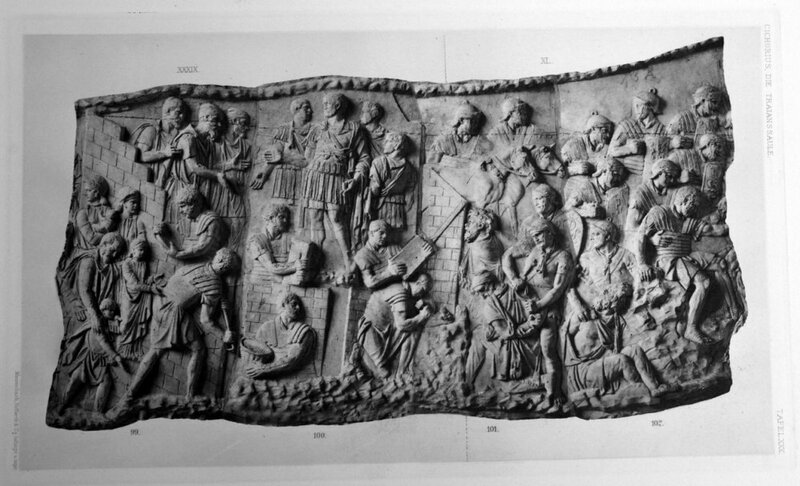 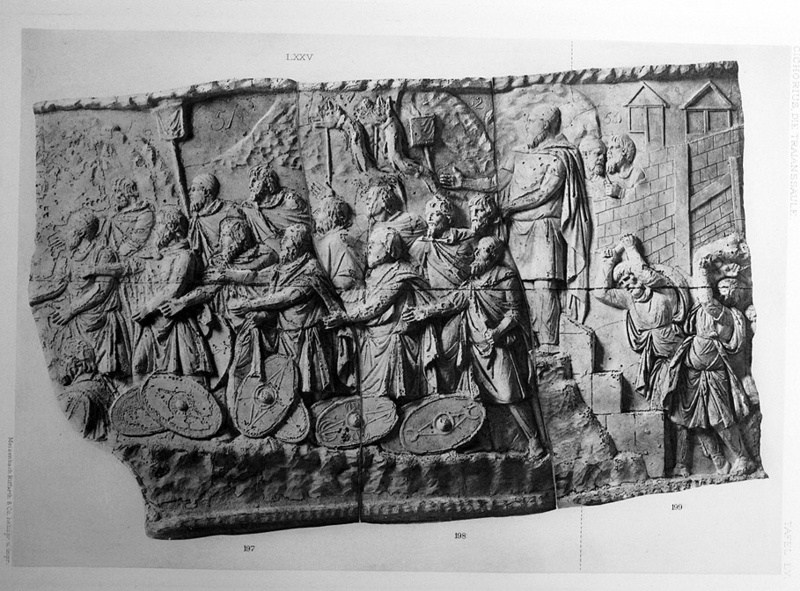 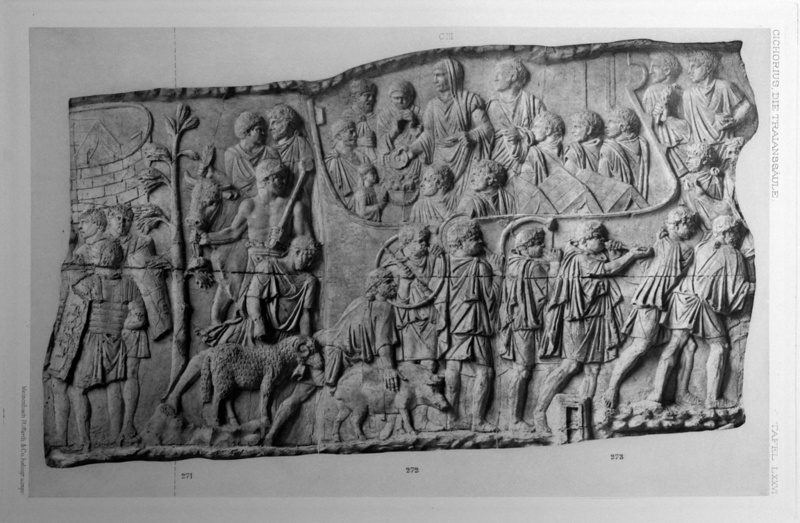 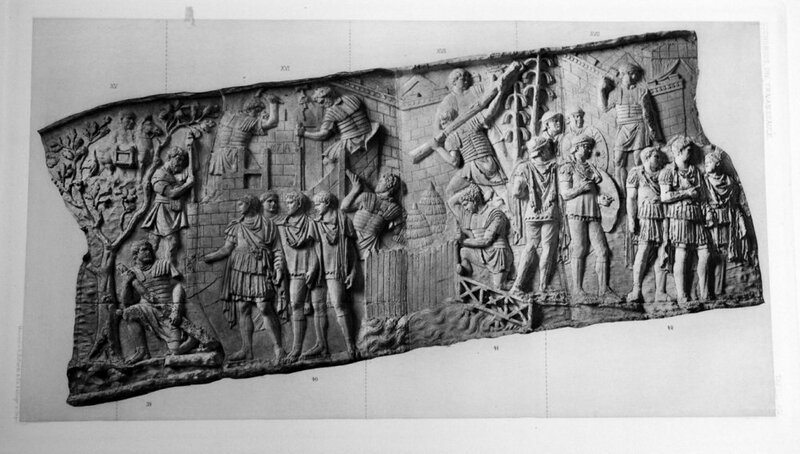 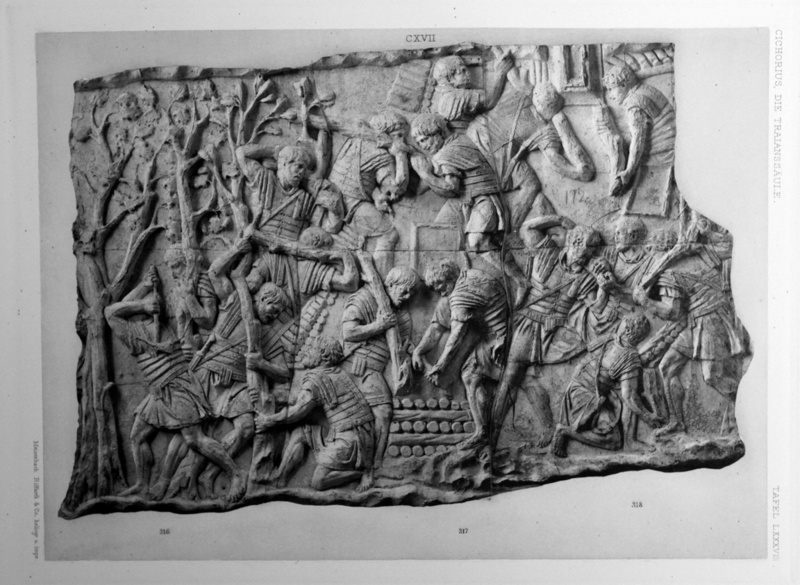 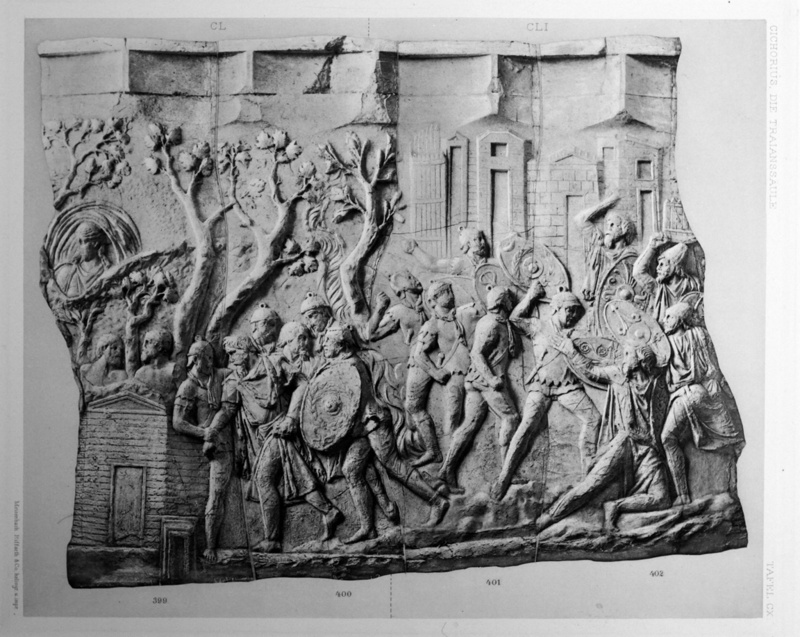 R. Ulrich’s photographs of the casts as they look today and of the reliefs in situ on the Column are available in the “Scene-by-Scene” galleries and commentary of the First Dacian War and the Second Dacian War. 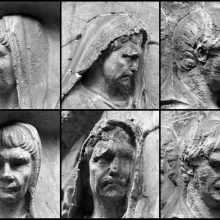 The full set of plates is now available in the galleries below. 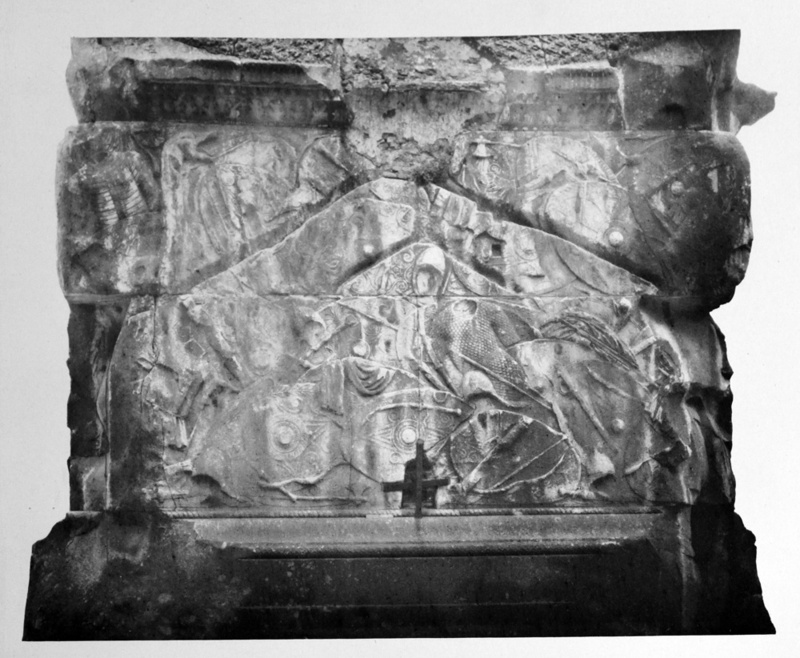 Completion of uploads for the complete set were made in late October 2016. 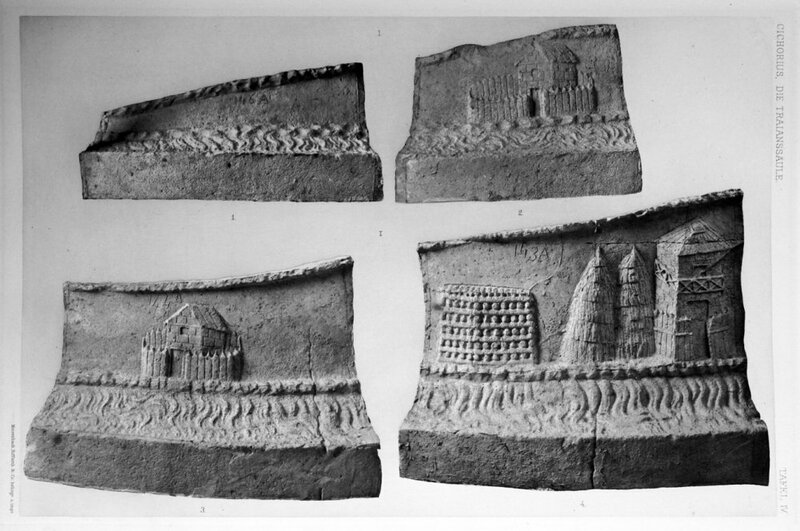 Photographic plates (I-LVII) from the casts (1-206) taken from by Column in the mid 19th century and published by Conrad Cichorius 1896-1900. 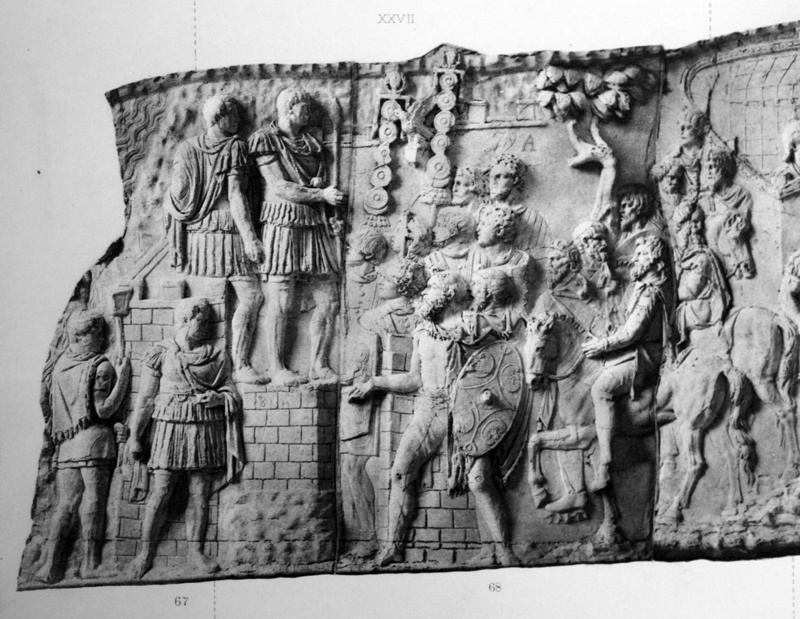 Scene 78/LXXVIII: The goddess Victoria inscribes the deeds of the successful Roman campaign on a shield. 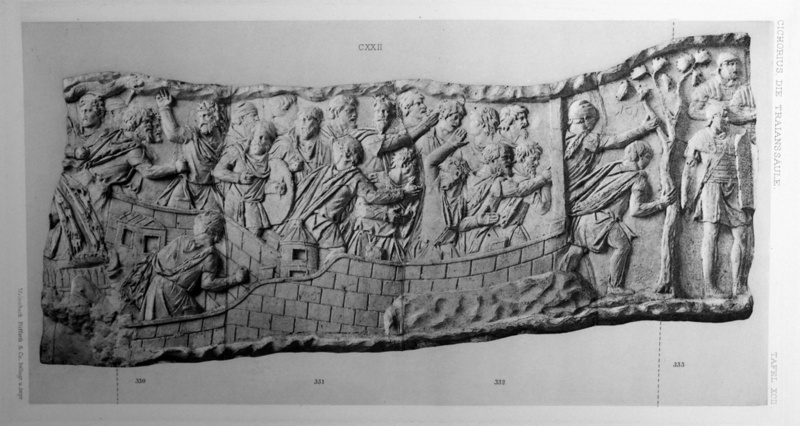 Casts 204-206; RBU2013.3599. 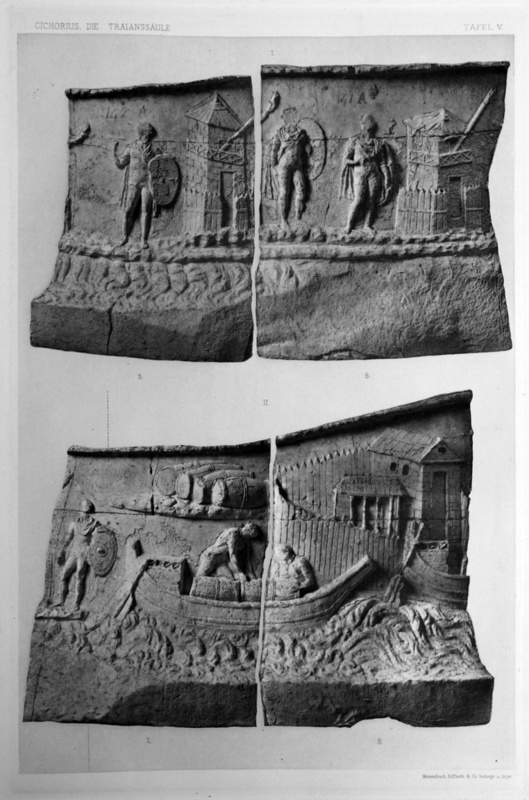 Photographic plates (LVIII-CXIII) from the casts (207-414) taken from by Column in the mid 19th century and published by Conrad Cichorius 1896-1900.